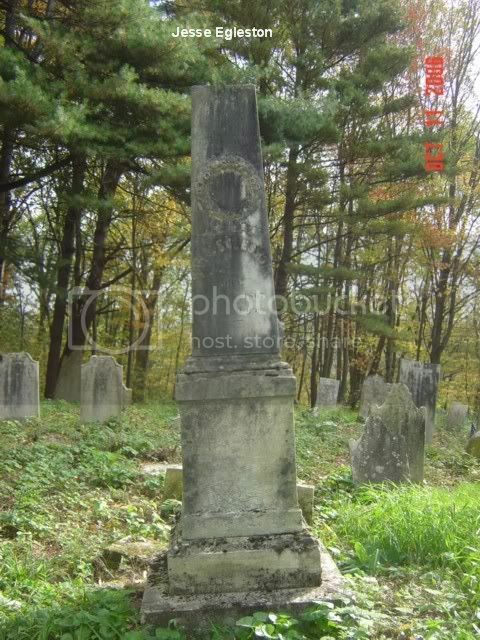 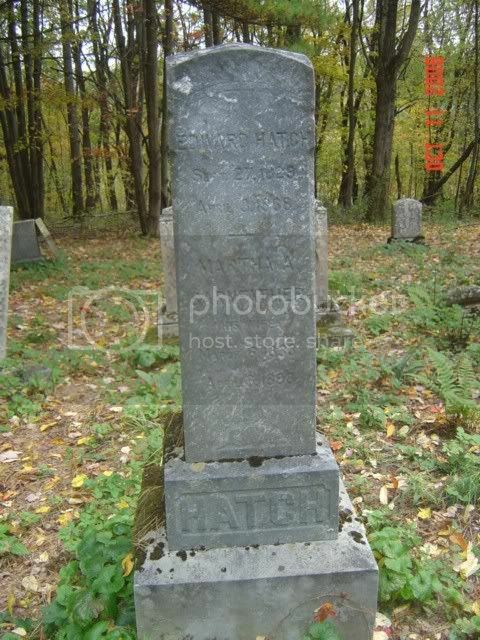 On this page, you will find an alphabetical list of the gravesites found in the Presbyterian Cemetery in Stephentown, NY. 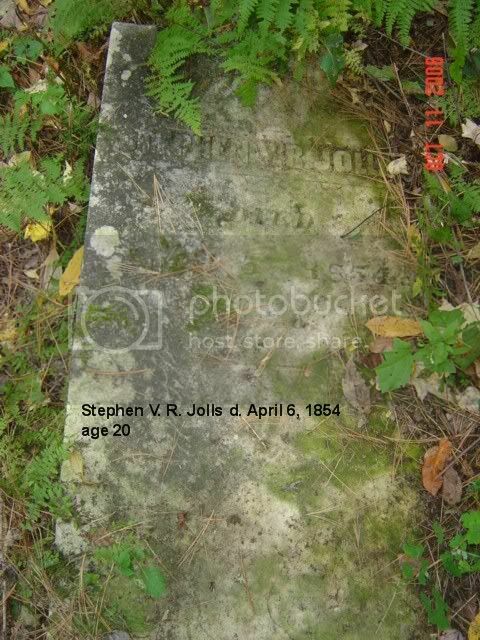 This list was provided by the Stephentown Historical Society with many thanks. 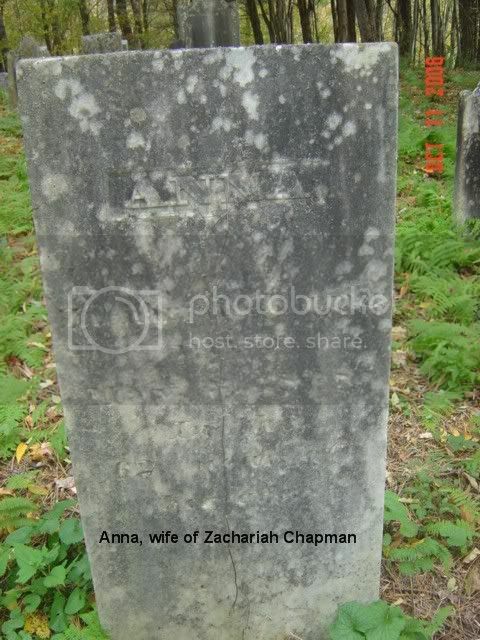 Many of the epitaphs were unreadable but some are included using those printed in "Epitaphs In The Only Stephentown On Earth" by Elizabeth McClave. 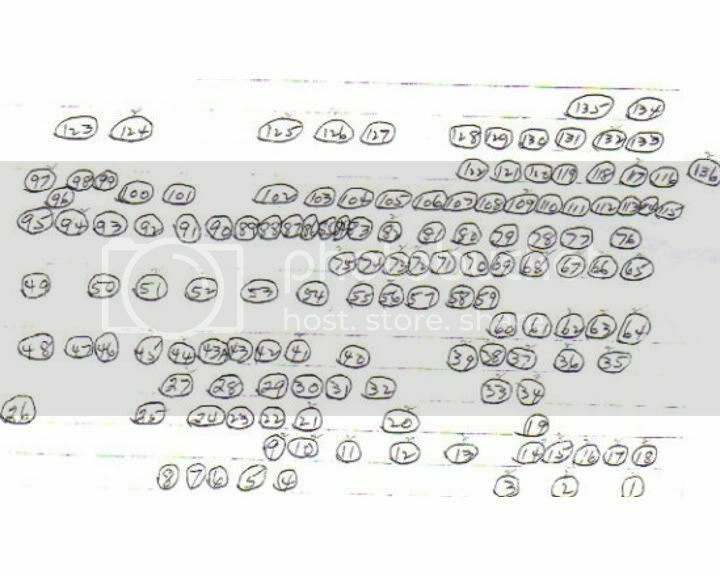 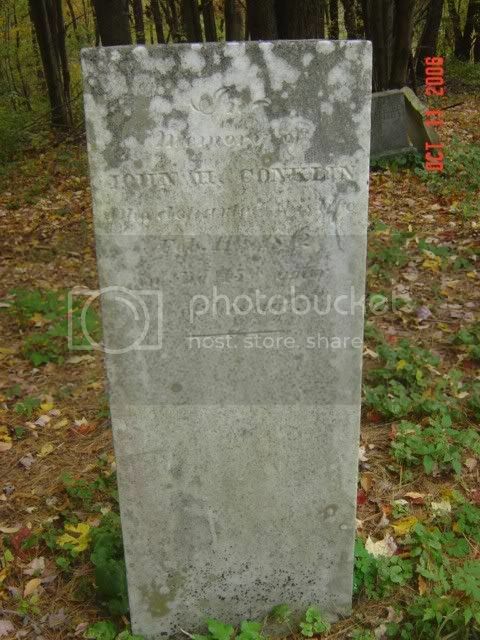 If a photo isn't included, it is because it was in such condition as to make it impossible to read it, or it could be toppled and face down. 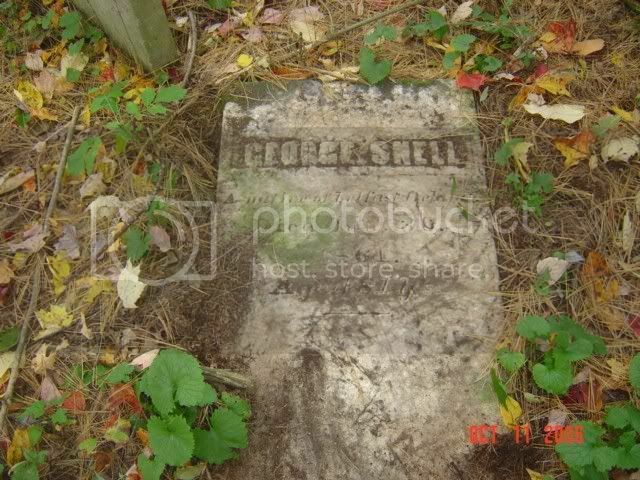 We attempted to clean off as many stones as we could, but didn't disturb stones that were face down. 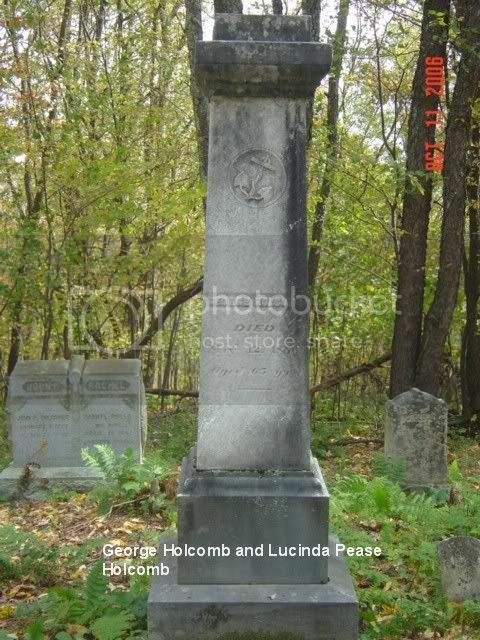 This cemetery is located as follows: Go south from the corner of Presbyterian Hill and Losty Roads 25'., turn left after parking. 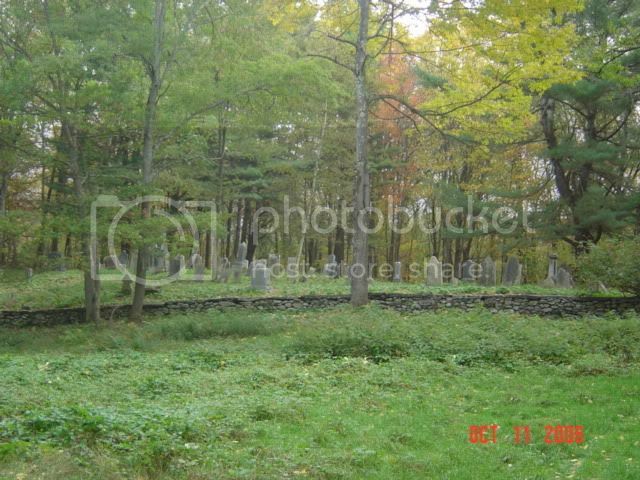 Through a 50' field to a stone retaining wall which goes all around the cemetery. 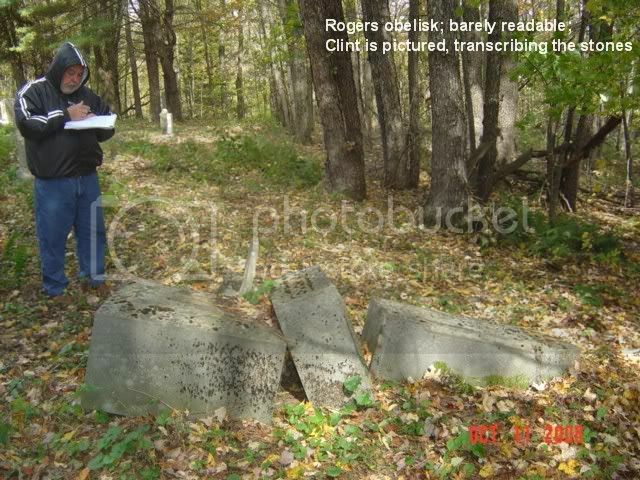 As of October, 2006, it is quite accessible, due to a "clean out" by Larry Eckhart and other volunteers. 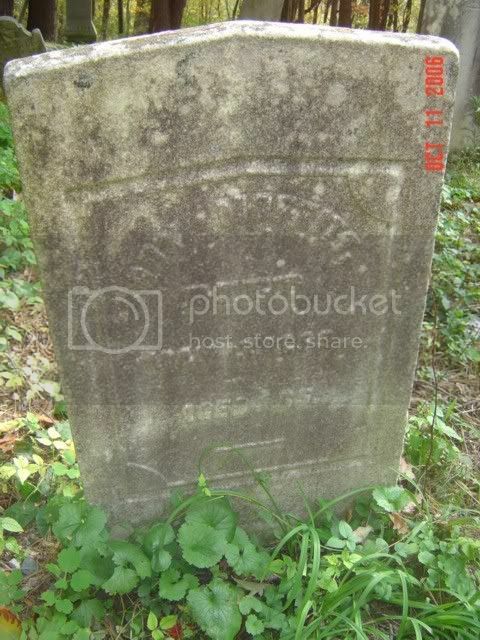 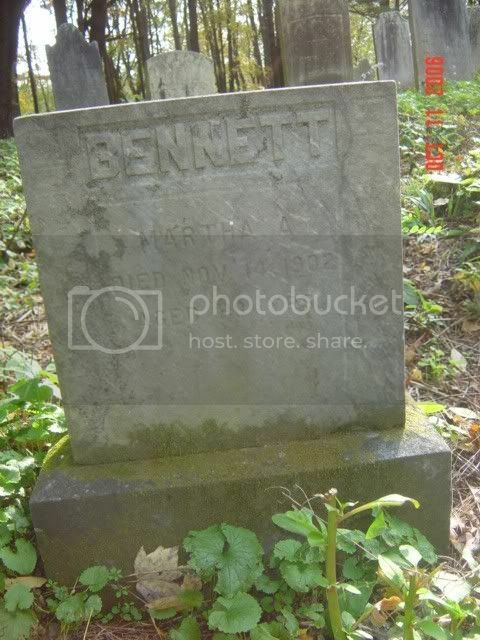 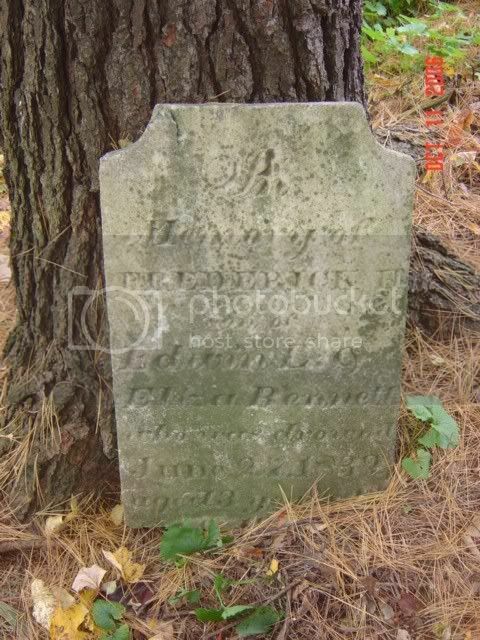 This cemetery was used from 1776 to 1929, but you will find a marker or two with dates after 1929. 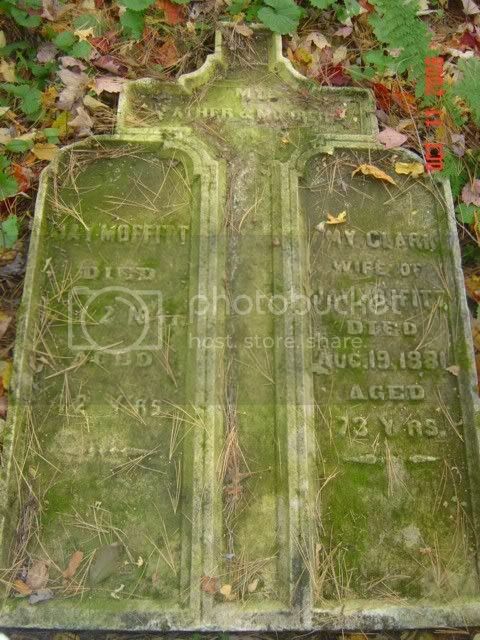 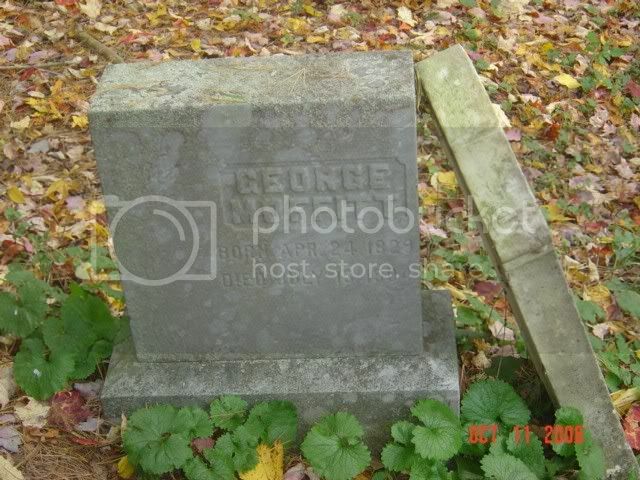 There are approximately 176 gravemarkers and the cemetery was in use for about 153 years. 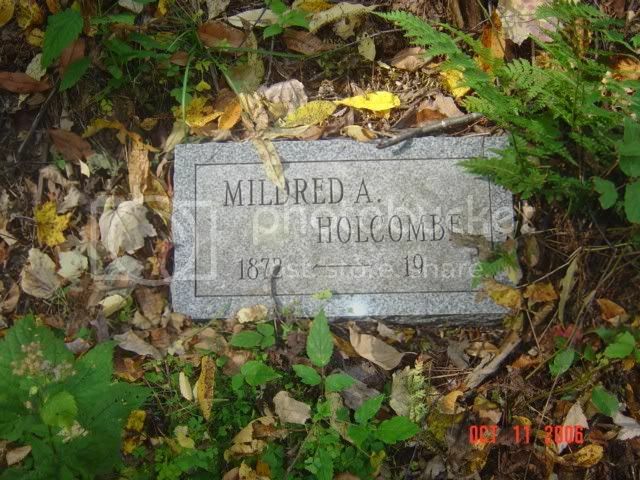 It is accessible to the public, as long as the blackberry vines and other weeds are cleared away. 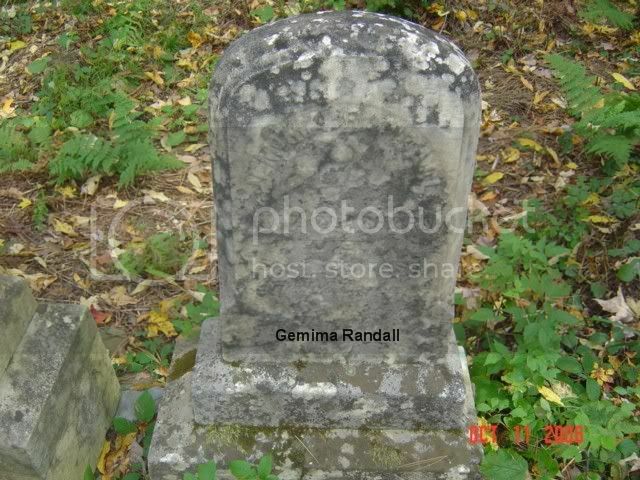 The stones are mostly made of marble. 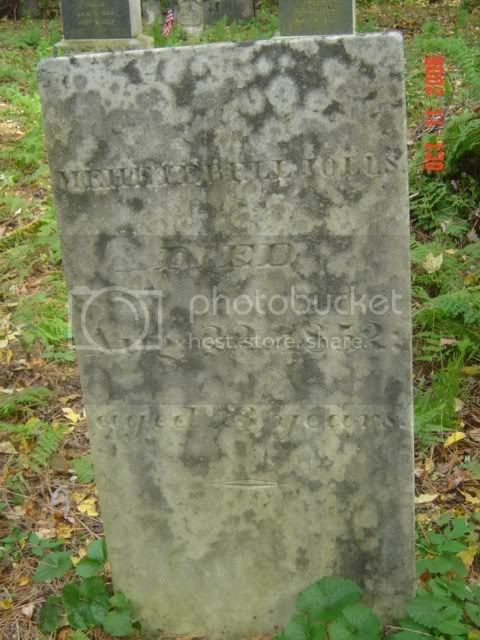 The general condition of the stones is mixed. 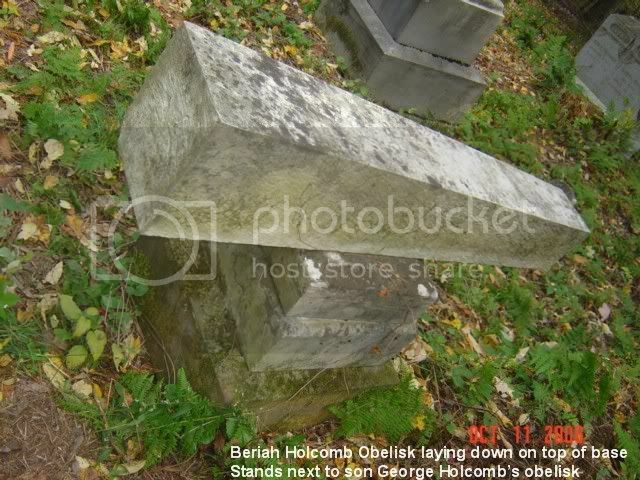 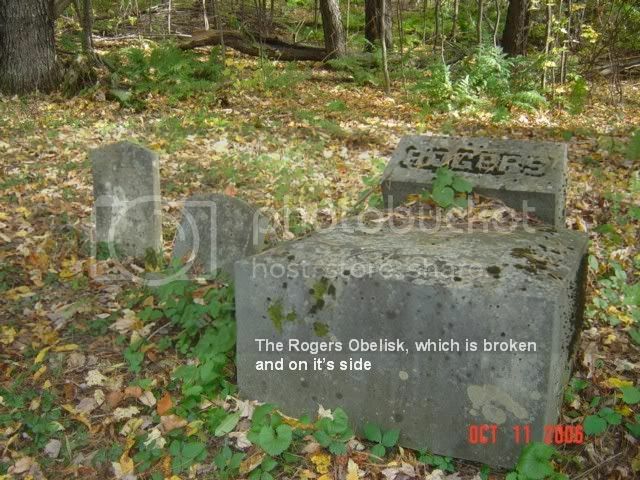 In October, 2006, several of the obelisk type markers were toppled. 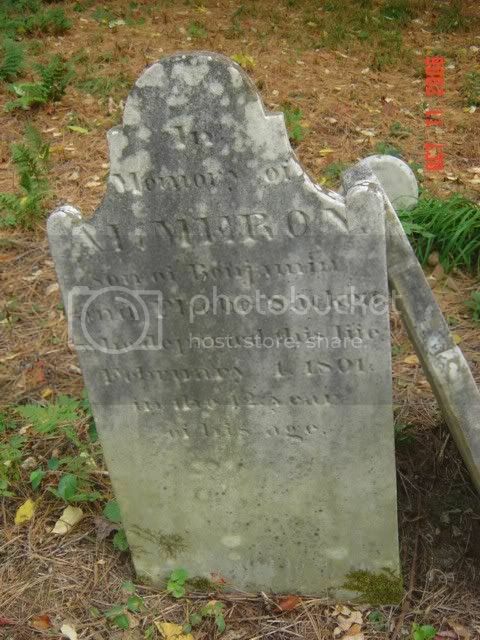 Many stones were readable, many not readable at all and others were face down and we left them undisturbed. 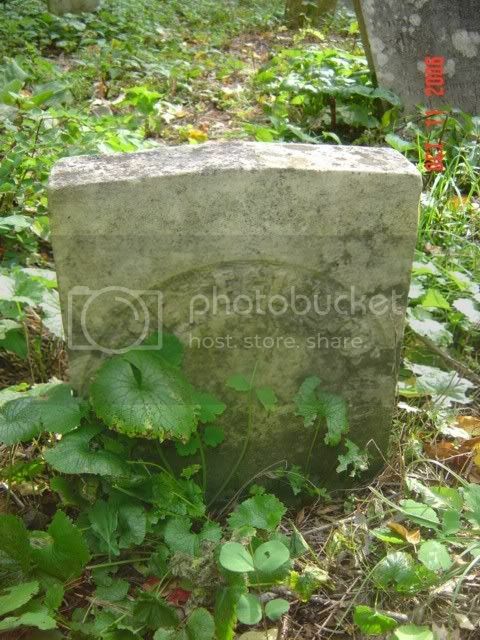 Weather has taken a toll on the stones. 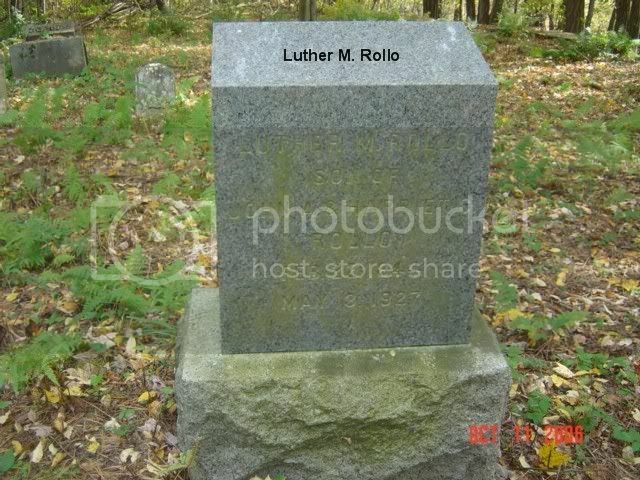 I emailed Rev. 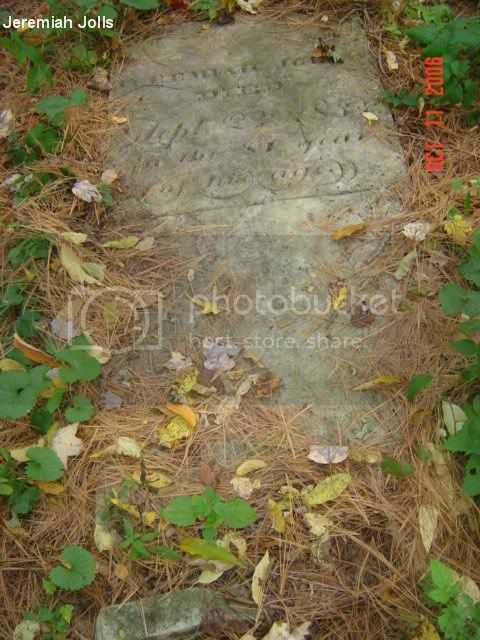 Tim Klasnick in August, asking about the cemetery, and he wrote back saying that it was accessible. 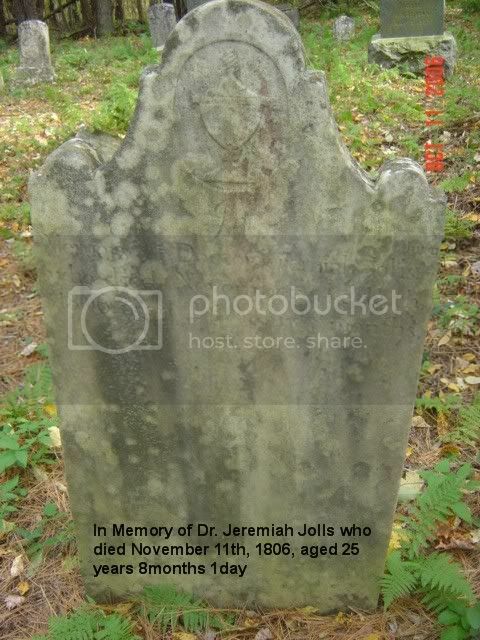 Unfortunately, Rev. 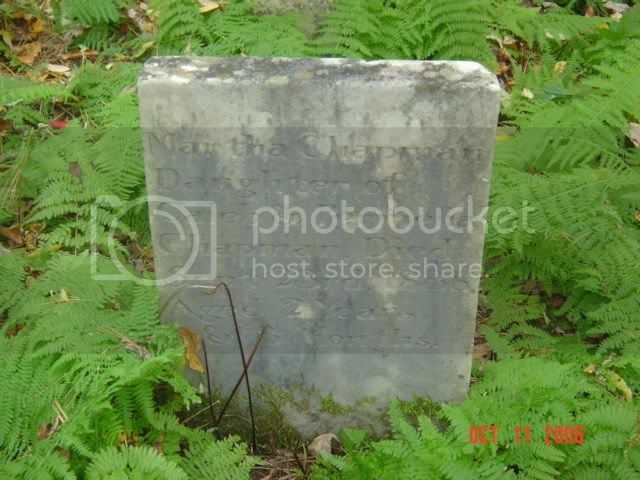 Klasnick, then pastor of the Stephentown Federated Church, passed away in September, quite suddenly. 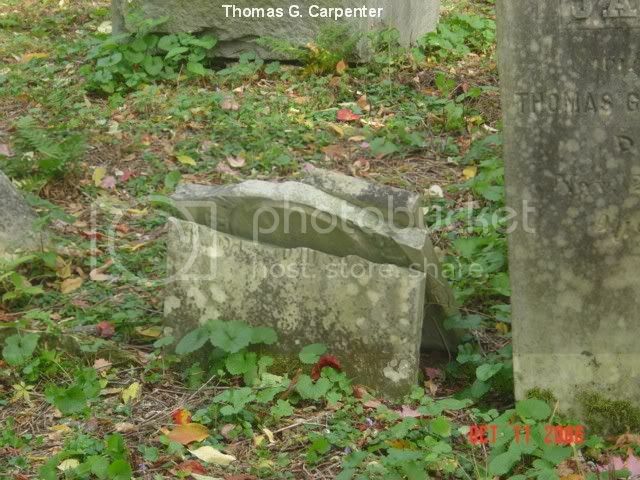 Immediately below, is a plot plan of the cemetery, showing the locations of the gravestones. 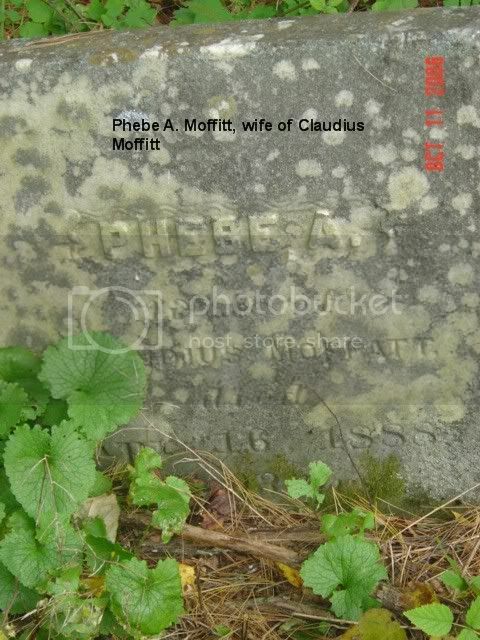 The chart below indicates the number, as well as name, dates and other information about the deceased. 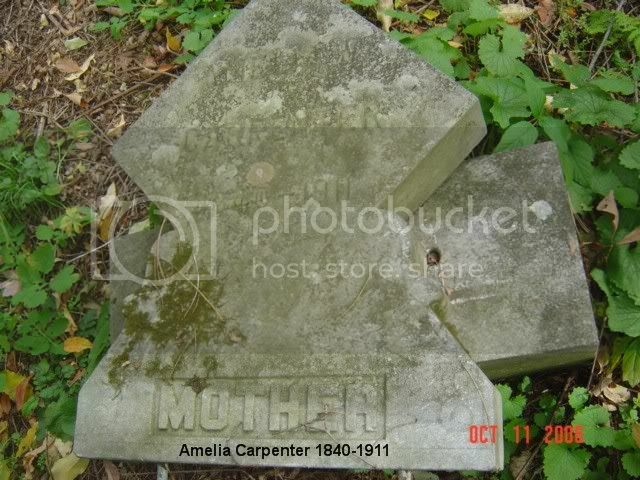 The chart is in alphbetical order, but the location of the gravestone can be found by matching the numbers to the chart. 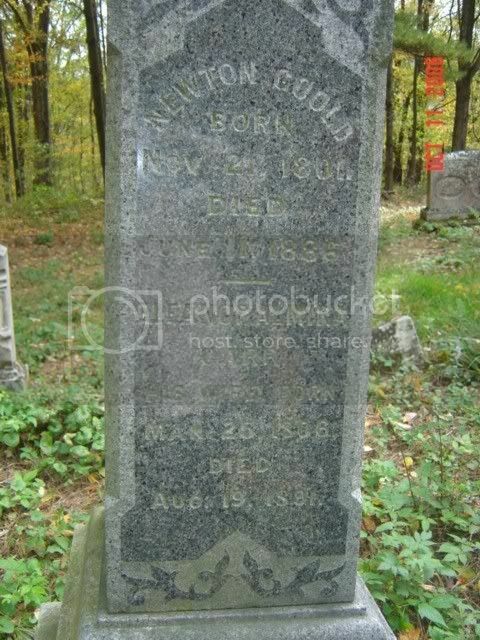 101 Bull, Nancy d. 3 April 1821 = 41y m. Abner Bull, Jr.
124 Ford, Ora E. 12 June 1858 - 23 Nov. 1882 m. C. W. Ford "Interred at No. 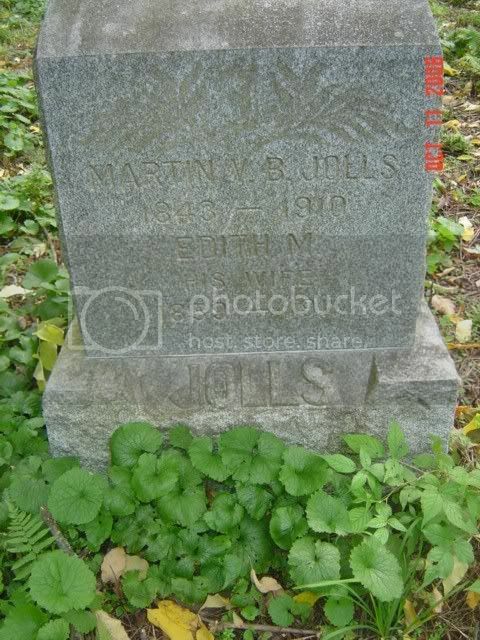 Adams"
61 Jolls, Burton d. 30 Nov. 1898 = 74y m. Sarah E.
4 Jolls, Martin V. B. 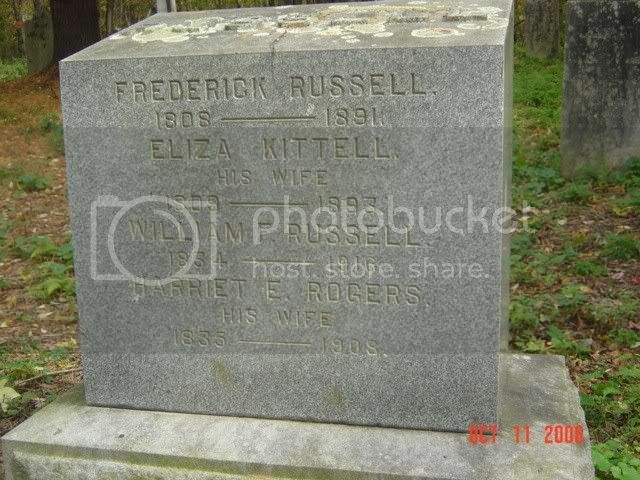 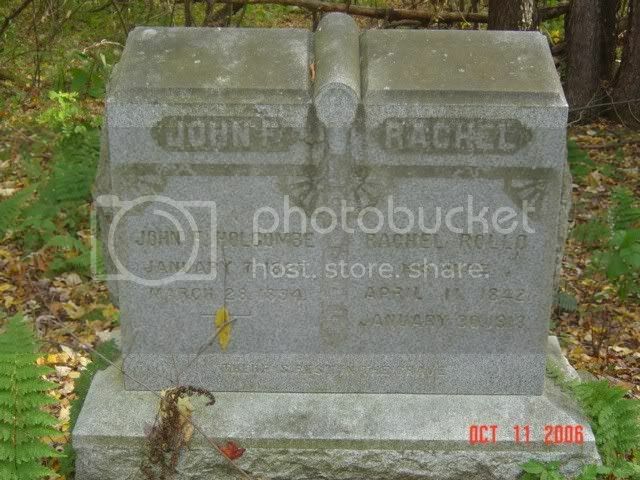 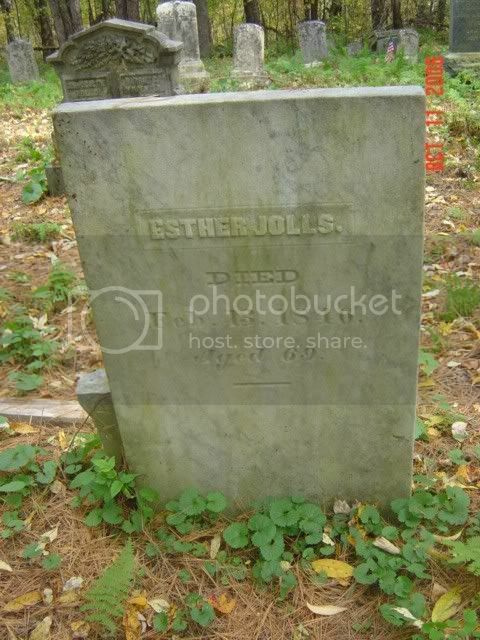 1843-1910 m. Edith M.
71 Jolls, Stephen Van Rensselaer d. 3 Feb. 1882 = 36y m. Harriet B. 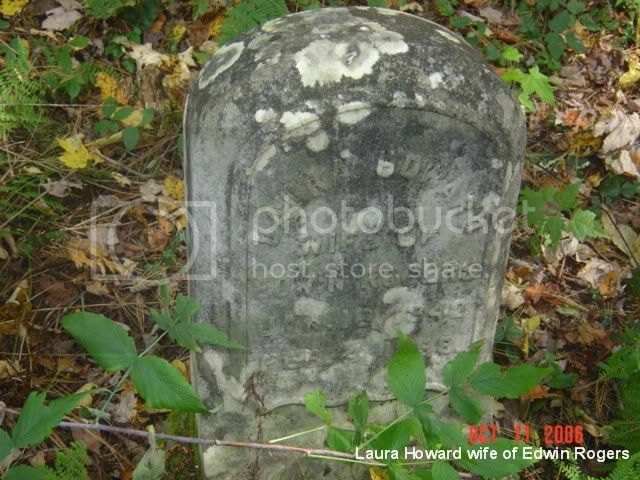 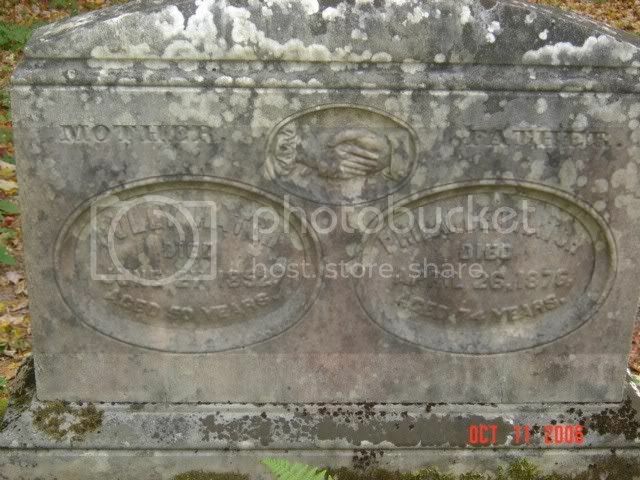 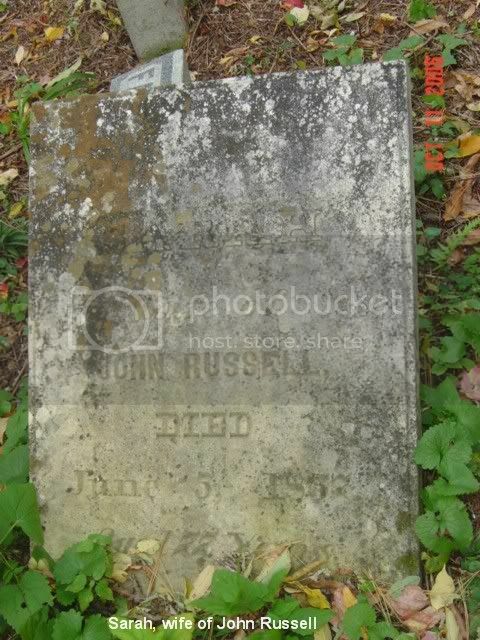 34 Lord, Lavinia d. 10 March 1819 = 23y m. Joseph Lord, Jr.
132 Rogers, Edwin A. d. 29 Dec. 1878 = 45y Company E 123 Reg. 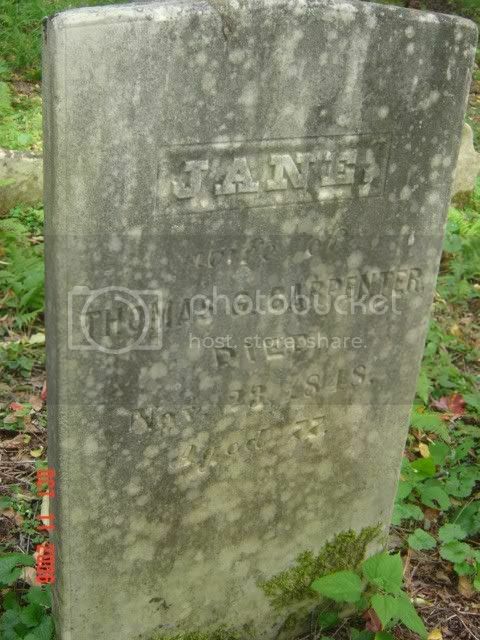 NY Vols. 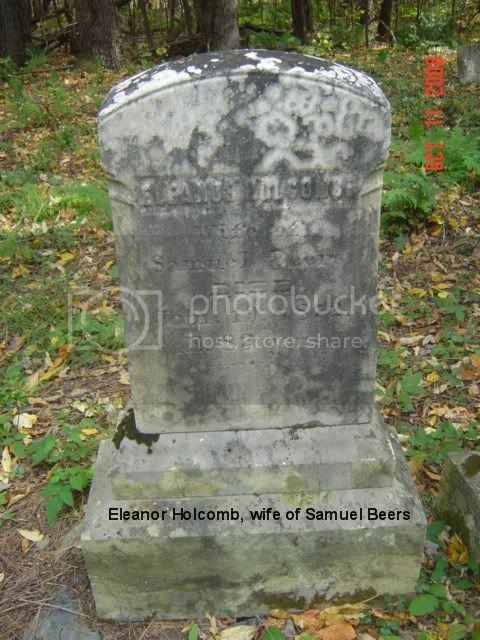 109 Rollo, Apollos d. 20 Feb. 1852 = 75y m. Elizabeth, "An Elder of the Presbyterian Church for 31y"
97 Snell, George d. 30 Jan. 1861 = 81y "A Native of Belfast, Ireland"
#120 Eleanor Holcombe wife of Samuel Beers Died January 19, 1872 Ae. 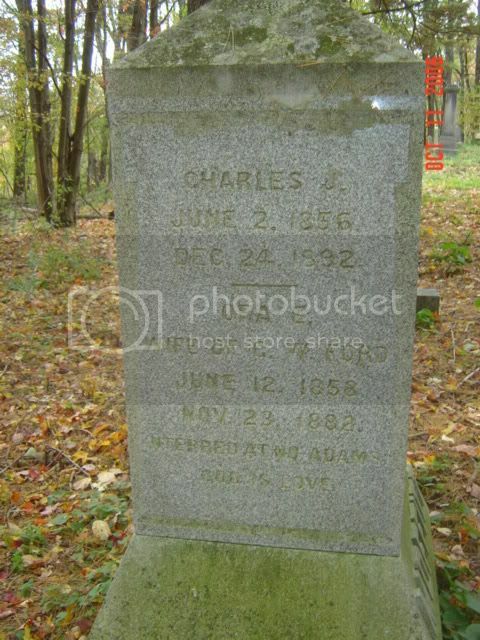 83yrs. 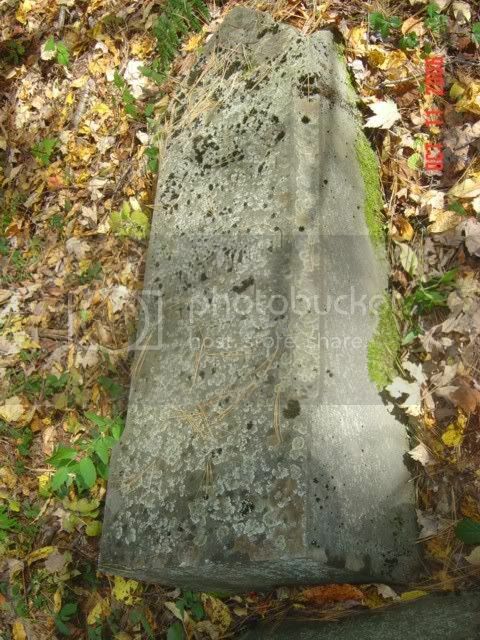 #100 & 101 - Stones crossed and stacked on ground under tree. 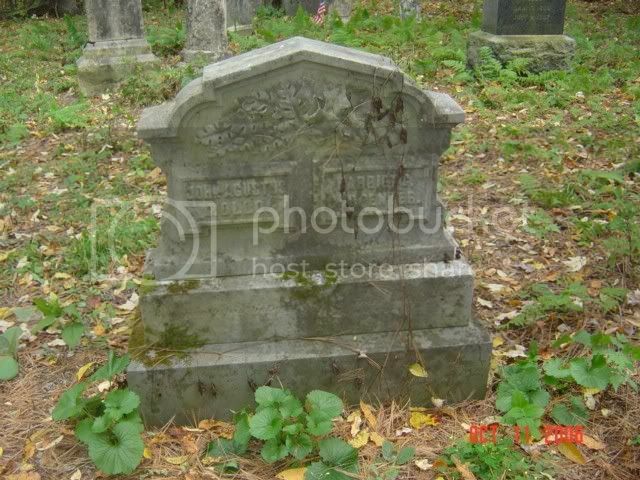 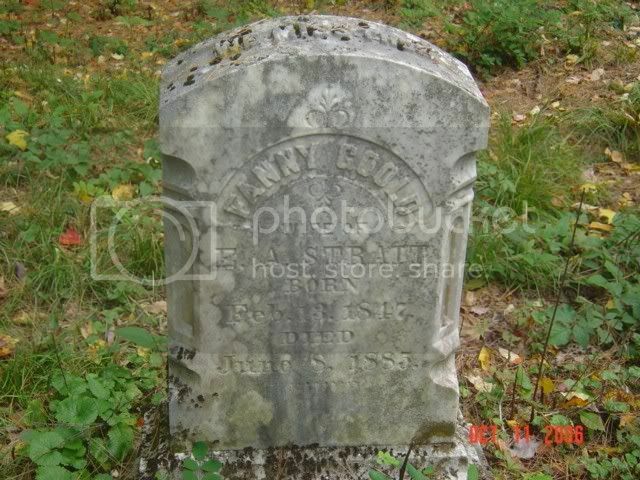 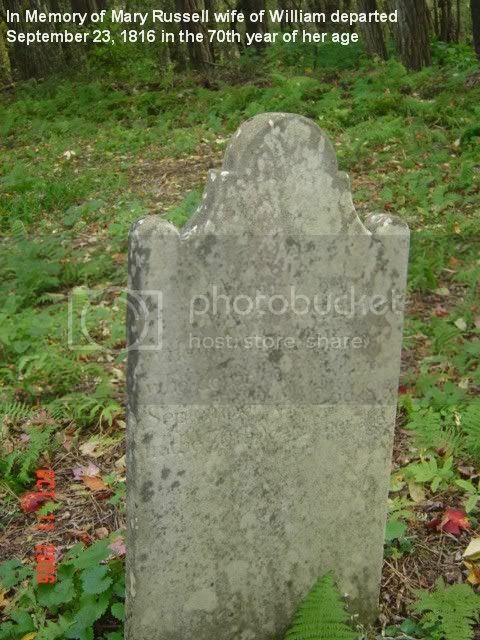 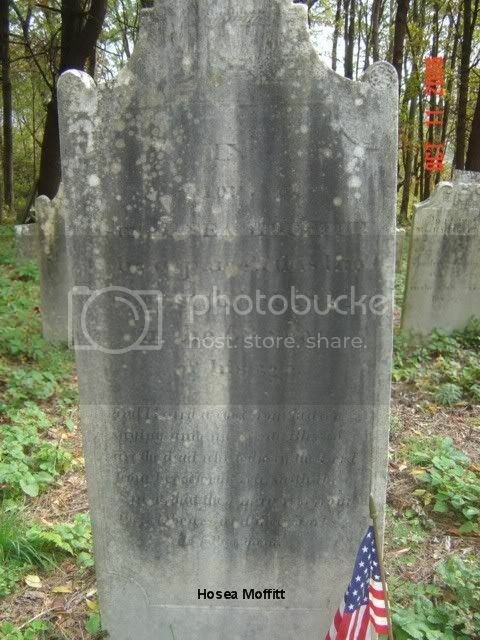 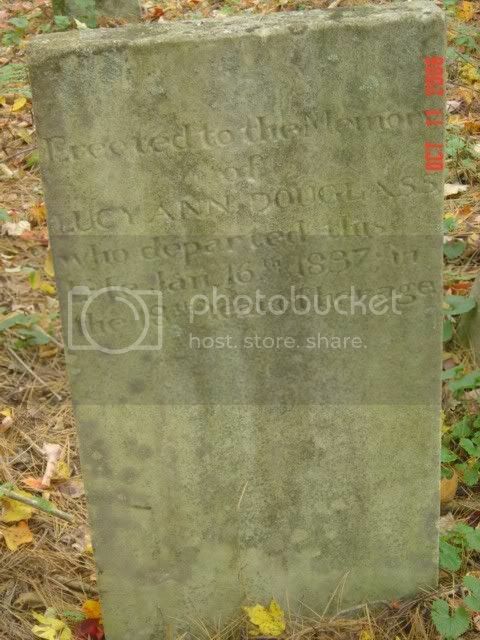 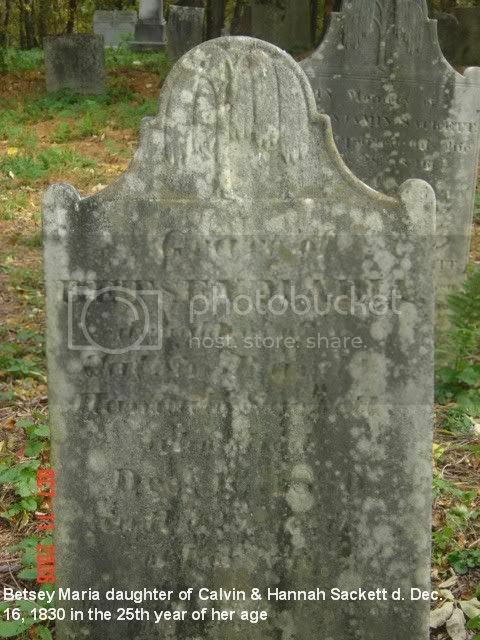 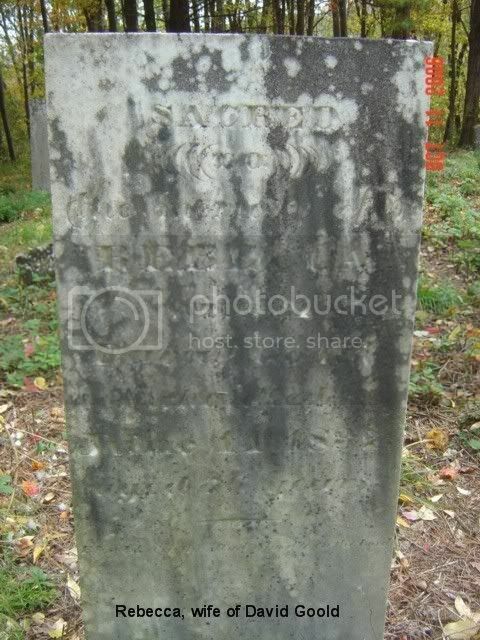 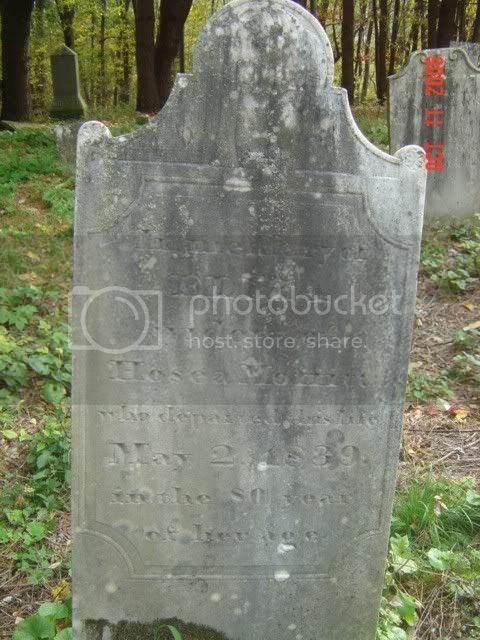 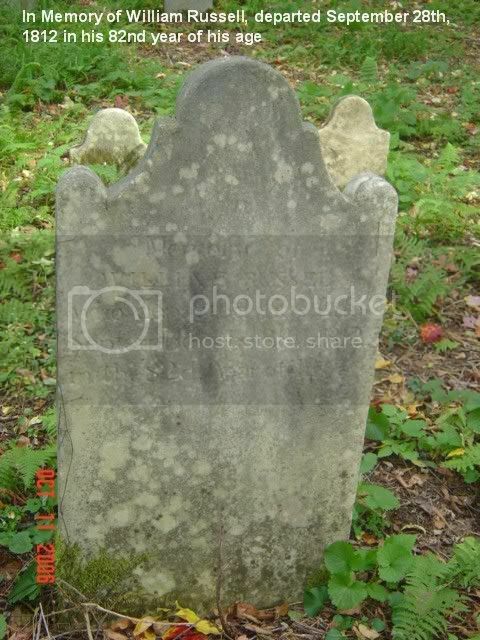 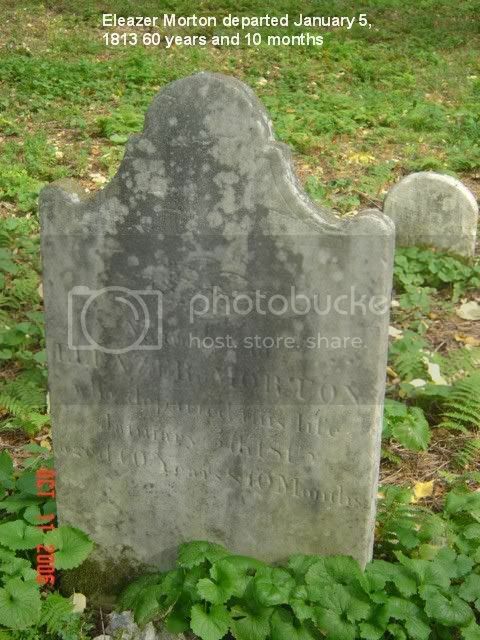 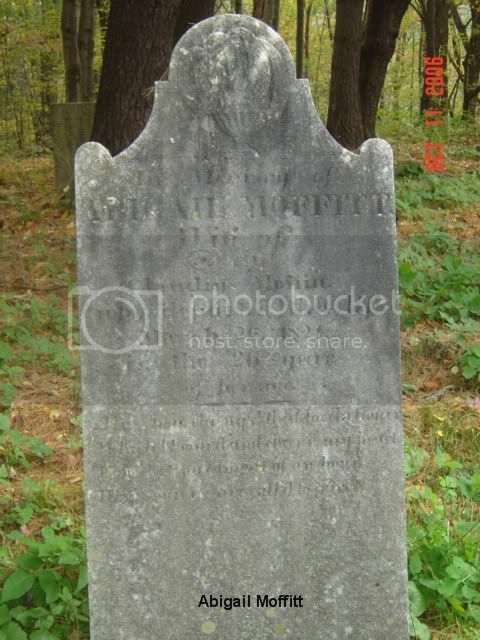 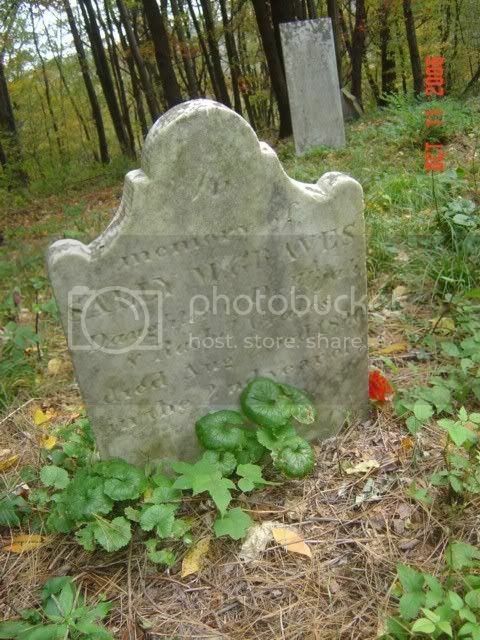 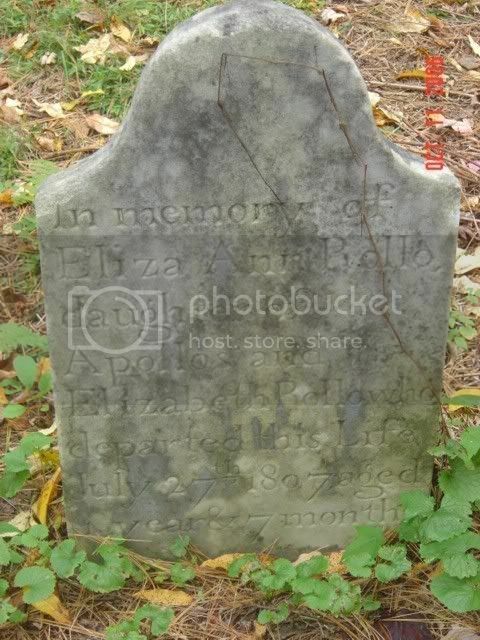 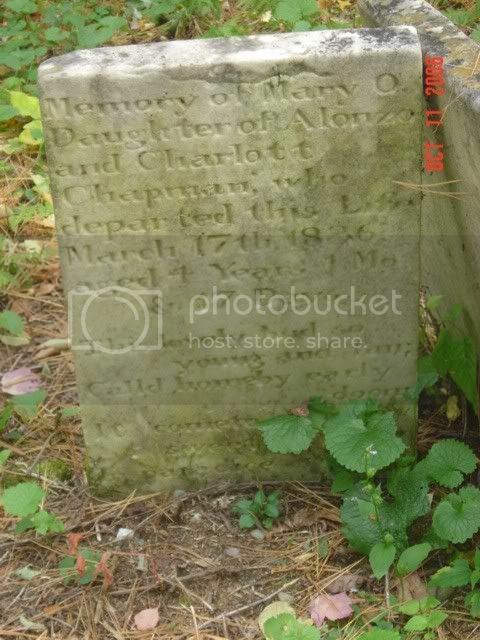 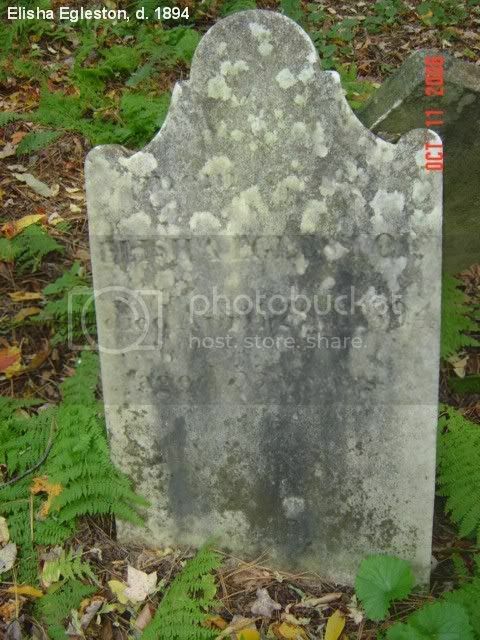 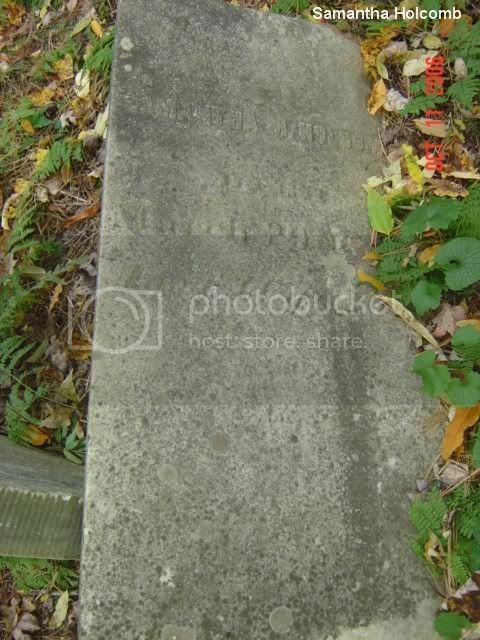 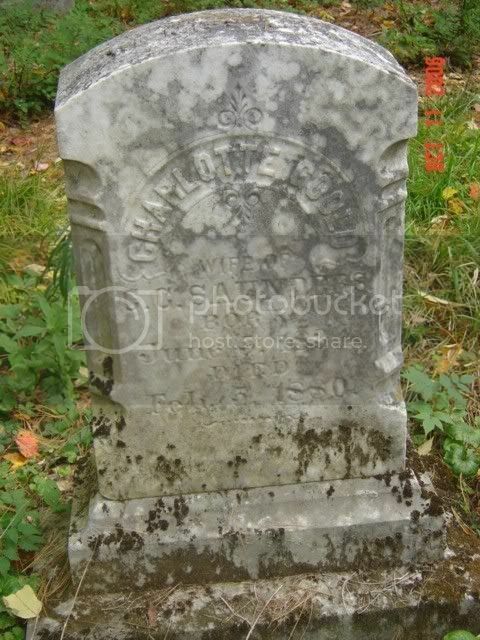 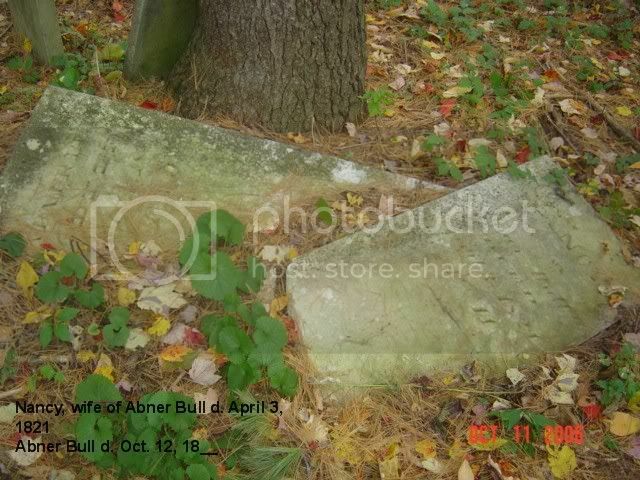 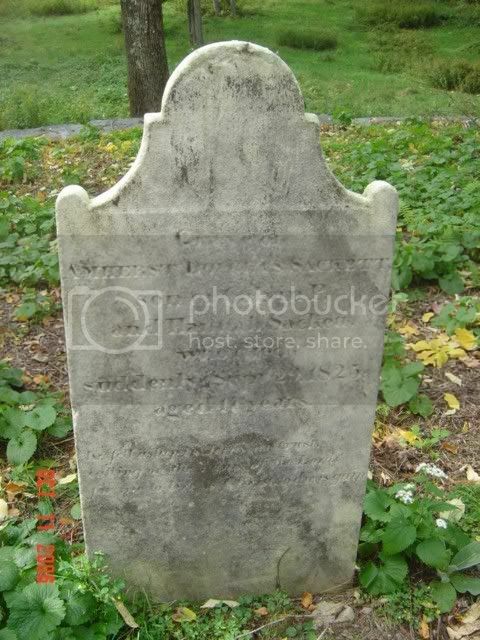 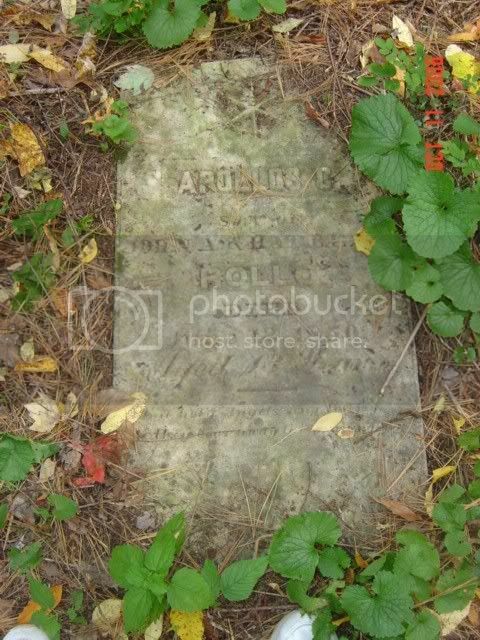 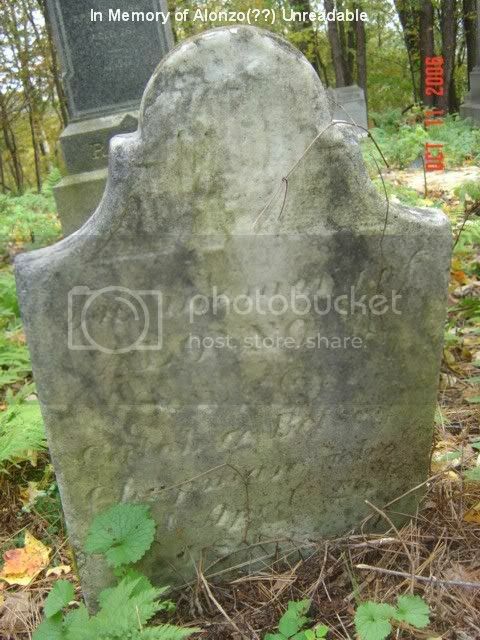 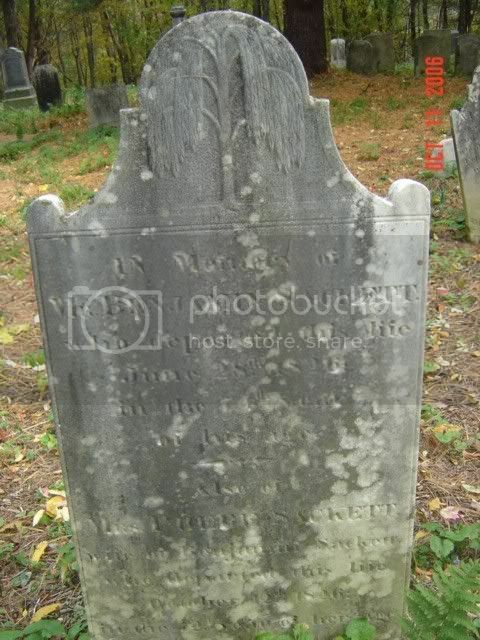 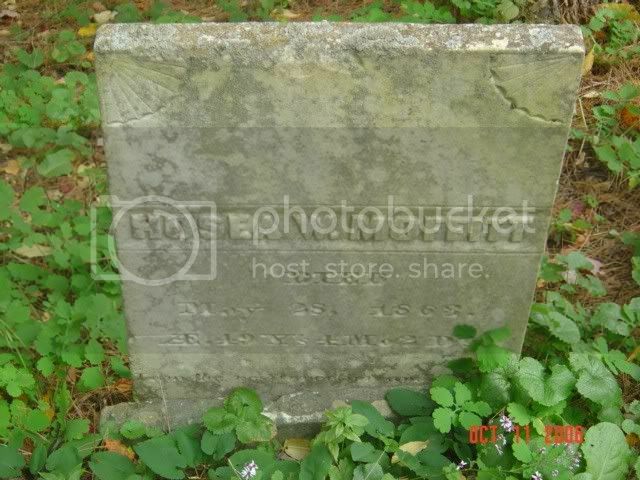 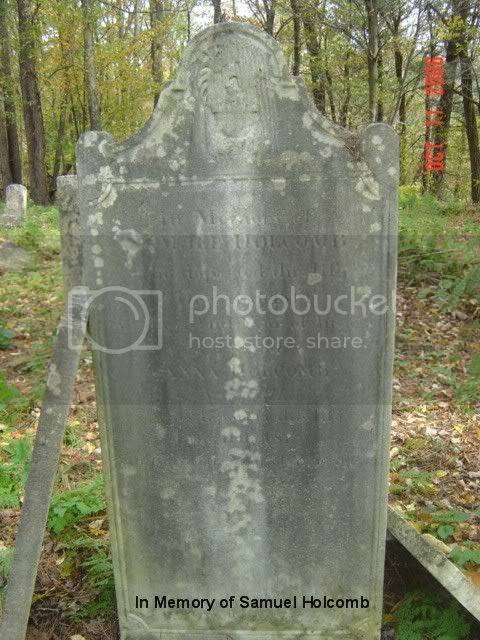 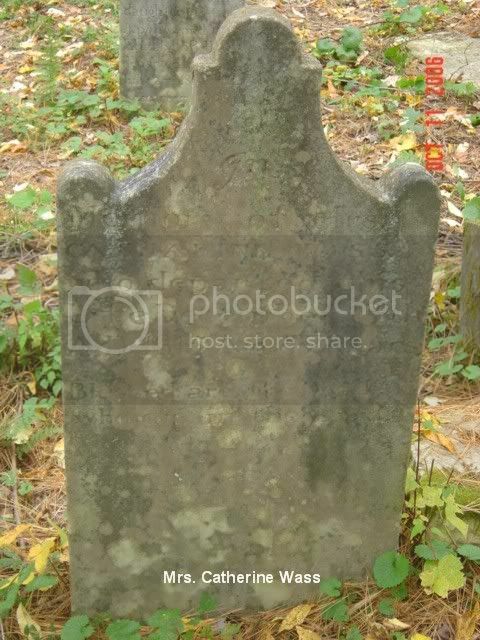 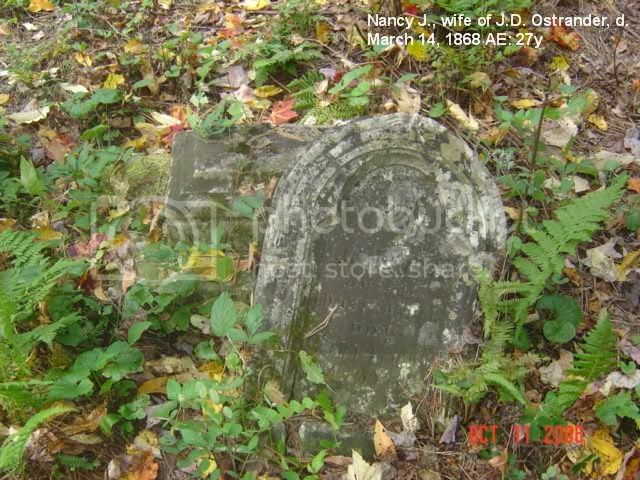 "Nancy wife of Abner Bull died April 3, 1821 aged 41" "Abner Bull died October 12, 1844 aged 70"
Might rise in triumph ore the tomb"
#37 - "Anna wife of Zachariah Chapman died May 3, 1828 in the 62nd year of her age"
#36 - "Caleb departed June 13, 1835 aged 76 years" "Permelia died July 21, 1825 aged 62 years"
#102 - "In memory of John H. Conklin who departed this life February 11, 1812 in 45th year of his age"
#98 - "Erected in Memory of Lucy Ann Douglass who departed this life January 16th, 1837, in the 18th year of her age"
"In Memory of Mr. Timothy Forsyth, departed this life February 10th, 1813, in the 63rd year of his age"
#58 - "Sacred to the Memory of David Goold who died April 22, 1832 aged 75 years"
#57 - "Sacred to the Memory of Rebecca, wife of David Goold, who died June 14, 1837, aged 76 years"
#56 - "Newton Goold born November 21, 1801, died June 11, 1886 -- Eleanor Almira Carr his wife born mar. 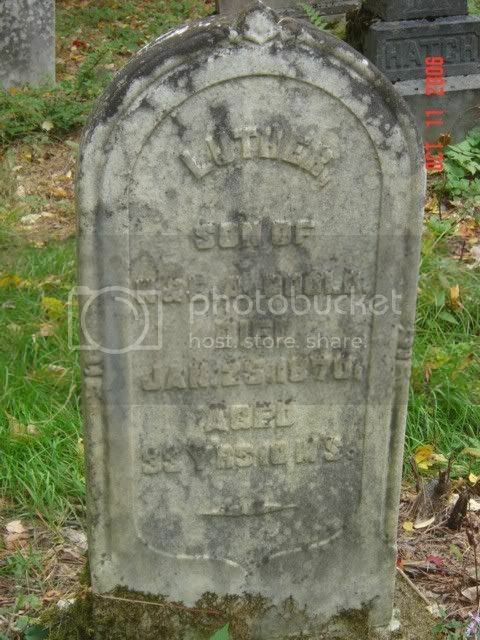 25, 1806, died August 19, 1891"
#88 - "Luther son of N & E.A. 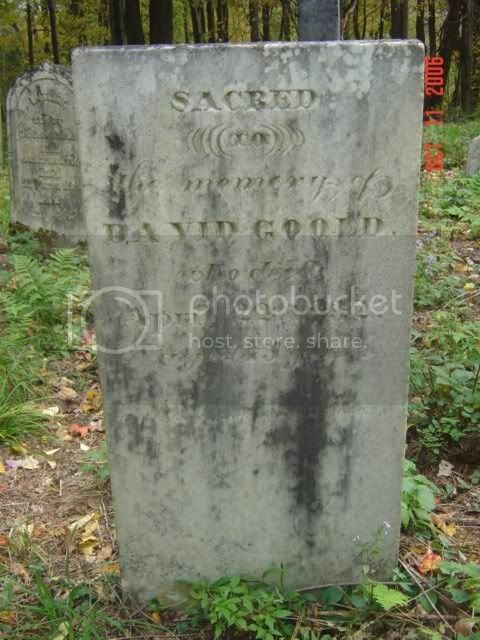 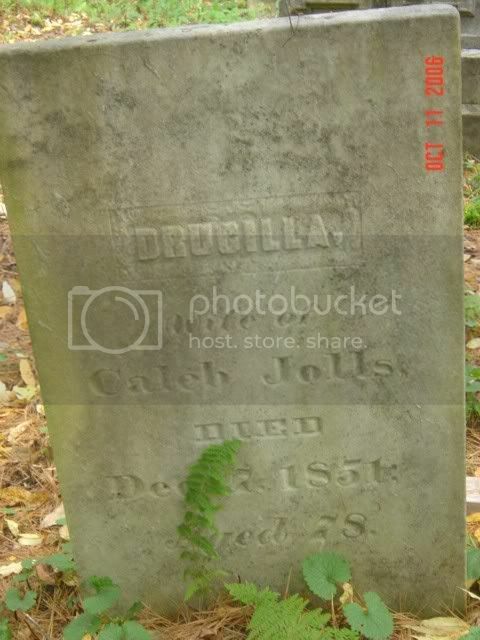 Goold Died Jan. 25, 1870 Aged 33yrs 10ms." 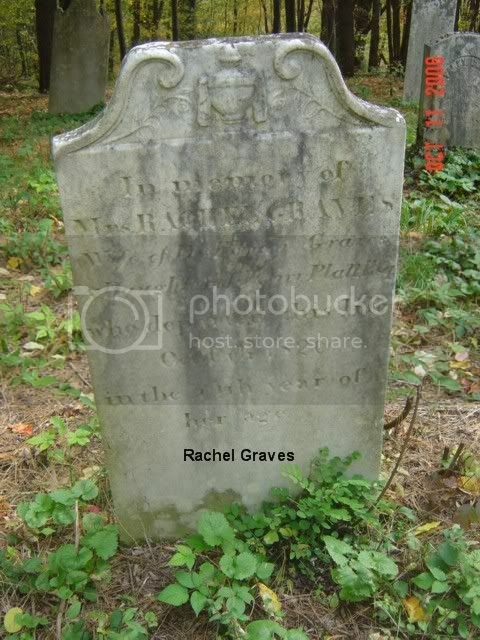 #55 - "In Memory of Mrs. Rachel Graves wife of Dr. Elijah Graves & Daughter of Henry Platt, Esq. 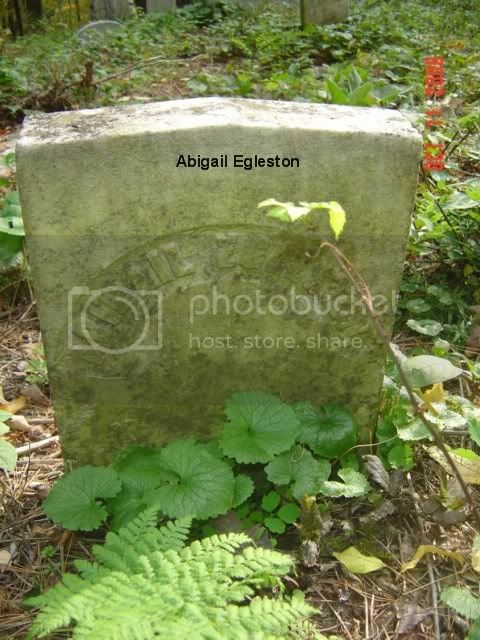 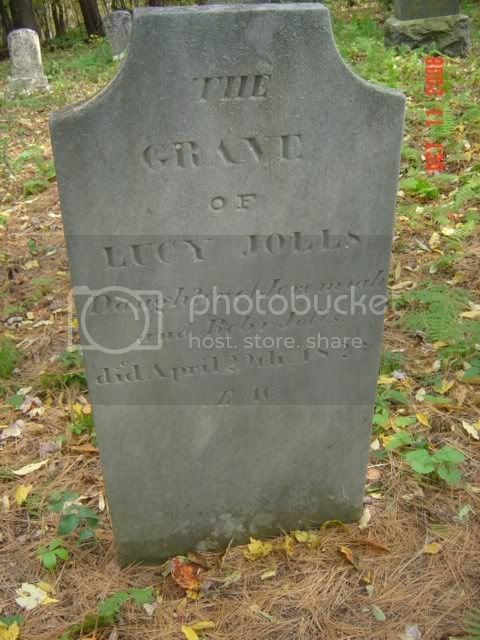 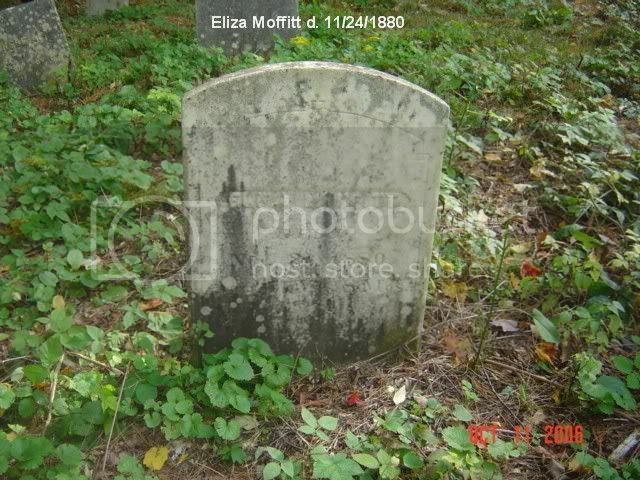 who departed this life Oct. 6th, 1826 in the 35th year of her age." 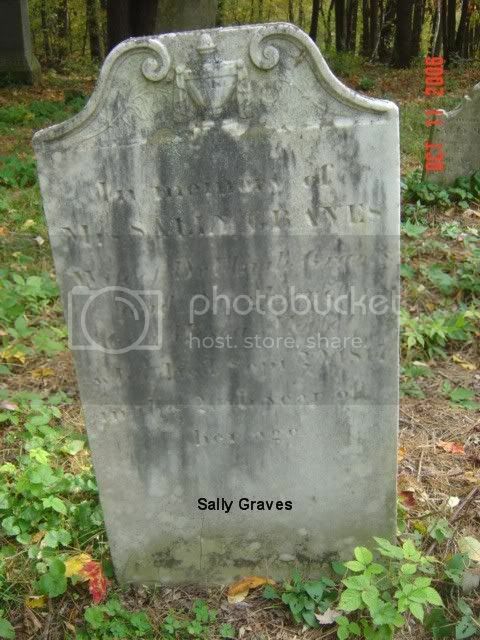 #54 - "In Memory of Mrs. Sally Graves wife of Dr. Elijah Graves and daughter of Gen. Hosea Moffitt who died Sept. 20, 1817 in the 26th year of her age"
#92 - "In Memory of Sally M. Graves, daughter of Elisha and Rachel Graves Died August 23, 1820 in the 2nd year of her age"
#105 - "Mother Polly Hatch Died June 27, 1852, Aged 50 years/Father Philander Hatch, Died April 26, 1876, Aged 74 years"
#122 - "George Holcomb died May 12, 1856 aged 65 years"
"Charlotte E. daughter of George & Lucinda Holcomb died February 23, 1891 aged 70 years"
"Lucinda wife of George Holcomb died January 29, 1863 aged 73 years"
"Sarah A. Holcomb wife of George W. Long, died April 27, 1877 aged 48 years"
#128 - "John F. Holcombe, January 7, 1827 - March 28, 1894"
"Rachel Rollo, his wife April 11, 1842 - Janaury 30, 1918"
"There is rest in the grave"
Mildred Holcombe was the daughter of John F. and Rachel Rollo Holcomb. 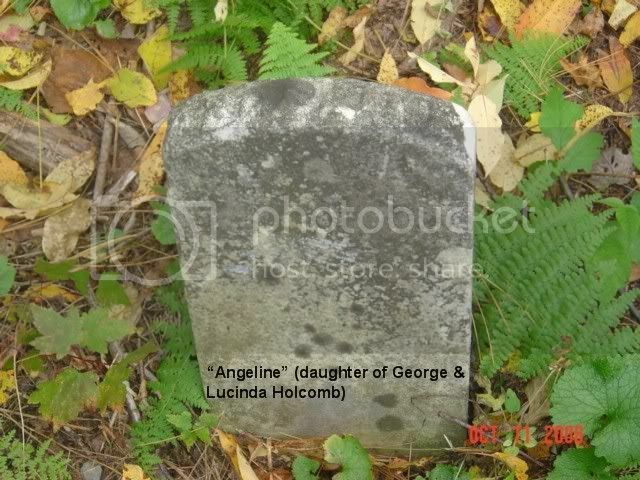 She had possession of the George Holcomb diaries and in 1942 she donated them to the New York State Library in Albany. 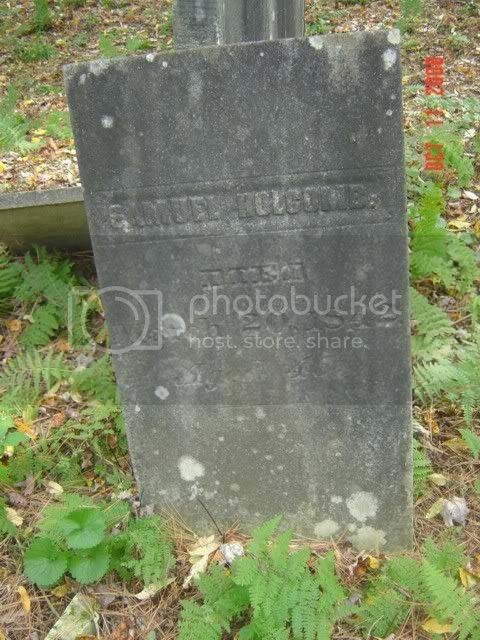 #130 - "Rollo A. Holcombe, son of John F. & Rachel Holcombe, died April 6, 1891 aged 24 years"
#66 - "Samantha M. Holcomb, Died March 29, 1842 Aged 11years 10months"
#67 - "In Memory of Samuel Holcomb who departed this life December 18, 1814 in the 41st year of his age, son of Dorcas Smith and Josias Holcomb and husband of Anna Holcomb who departed this life June 11, 1813, in the 34th year of her age"
#68 - "Samuel Holcomb died March 20, 1842 aged 45"
#80 = "Drucilla wife of Caleb Jolls Died December 7, 1851 age 78"
#79 - "Esther Jolls died February 13, 1846 aged 69"
#77 - "In Memory of Doctor Jeremiah Jolls who died November 11th, 1806, aged 25 years 8 months & 1 day"
#78 - "The Grave of Lucy Jolls Daughter of Jeremiah and Raby Jolls died April 29th, 1829 Ae 46"
Edith M., his wife 1859 - 1911"
"Mehetebell Jolls died August 22, 1852, Aged 73 years"
#115 - "Stephen V. R. Jolls Died April 6, 1854 Aged 20"
How soon we are call'd to part"
#123 - "My Father & Mother"
"Jay Moffitt Died October 2, 1841 aged 42 years"
"Amy Clark, wife of Jay Moffitt Died August 19, 1881, aged 73 years"
#46 - "Guy Moffitt d. May 13, 1839 Aged 55 years"
#45 - Eliza Moffitt, widow of Hosea Moffitt May 2, 1839, 80 years - Widow of Hosea Moffitt who departed this life May, 1839 in the 80th year of her age"
#125 - "George Moffitt Born April 24, 1824 - Died July 13, 1904"
#44 - "In Memory of Gen. Hosea Moffitt who departed this life August 21, 1825 in the 68th year of his age. 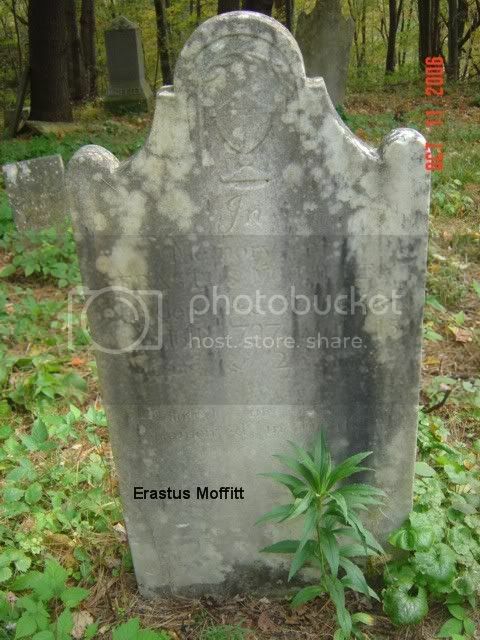 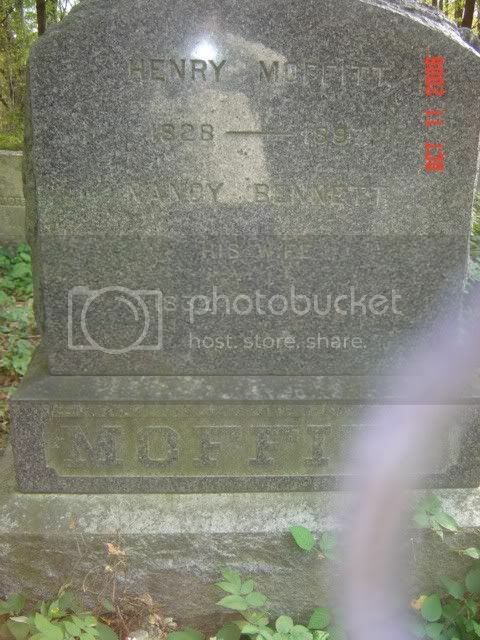 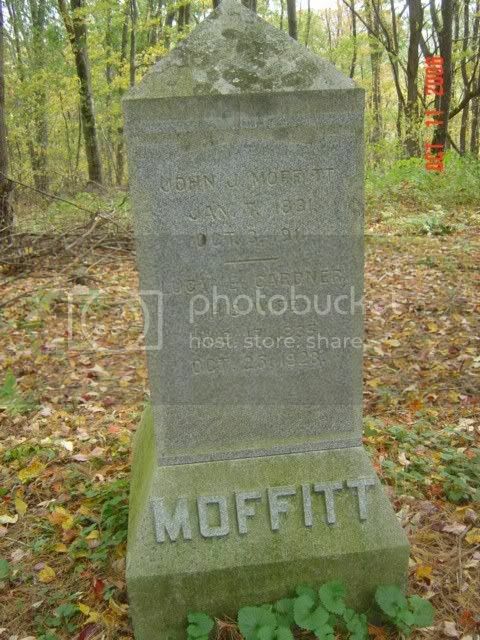 I am the resurection and the Life"
#126 - "James B. Moffitt, son of George & Mary Moffitt, born April 8, 1868, died October 15, 1880"
Lucy E. Gardner His wife Aug. 17, 1835 - Oct. 25, 1828"
#50 - "Phebe A. wife of Claudius Moffitt, who died April 16, 1888, aged 93 years"
#21 - "Eleazer Morton who departed this life January 5, 1813 60 years & 10 Months"
#106 - "Nancy J. Ostrander wife of William J. Ostrander, Died March 14, 1868, Ae. 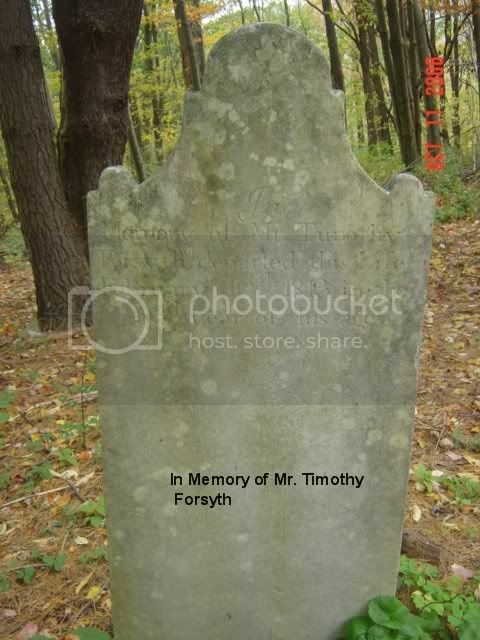 27 years." 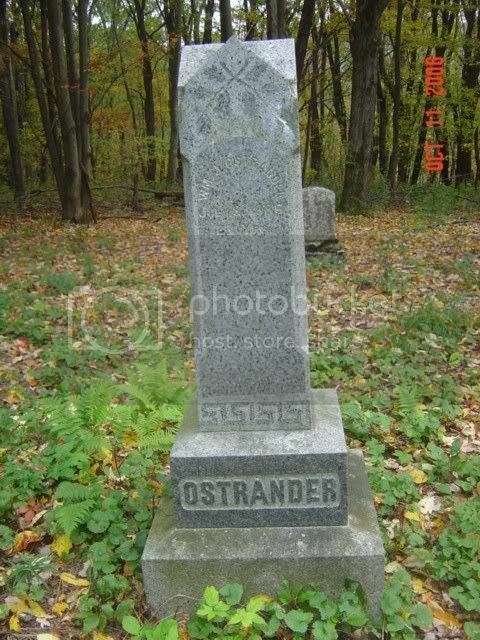 #107 - "William J. Ostrander July 8, 1886 23 years"
Mathilda W. Chapman, his wife, Died Oct. 3, 1894, aged 83 years"
The above two pictures show the Rogers obelisk. 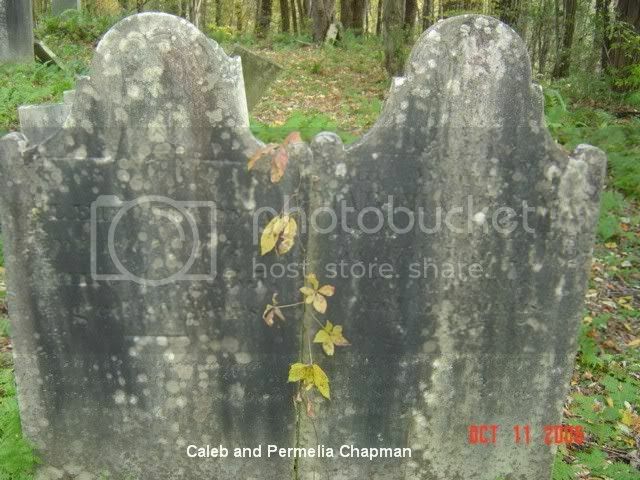 The last shows the two child's graves. 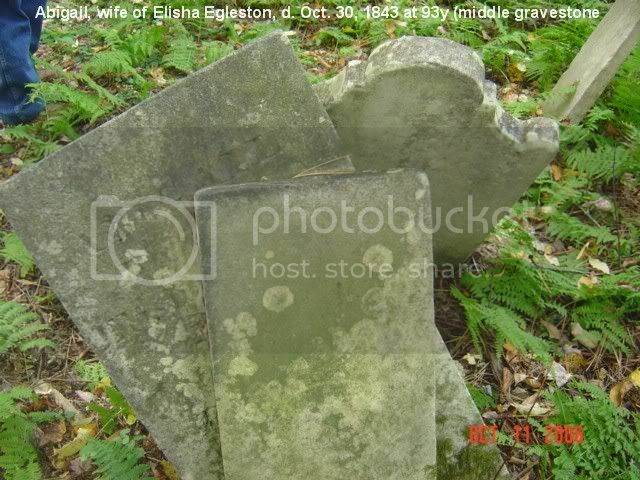 Given the weight of these stones, I suspect that vandels have done this and have toppled several others in this cemetery. 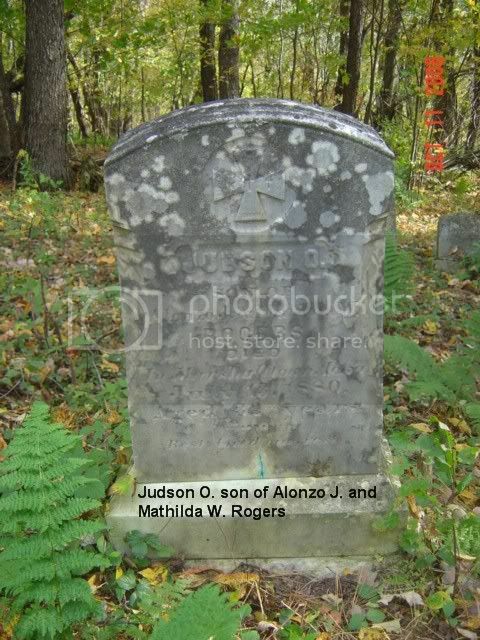 #132 - Top reads "Husband-Father" Face reads "Edwin A. Rogers died Dec. 29, 1878 aged 45 years"
#131 - "Judson O. son of Alonzo J. 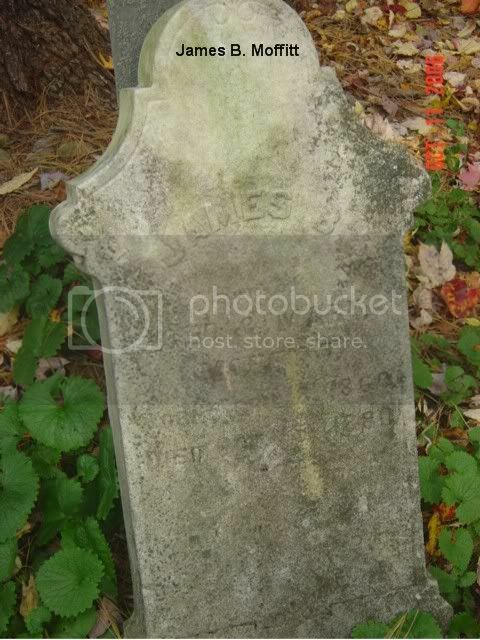 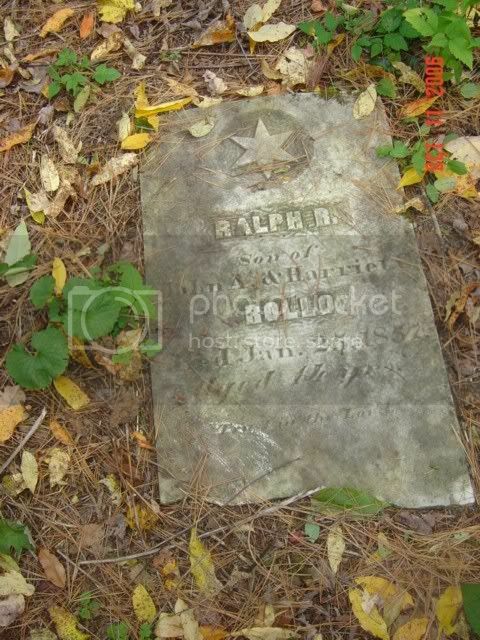 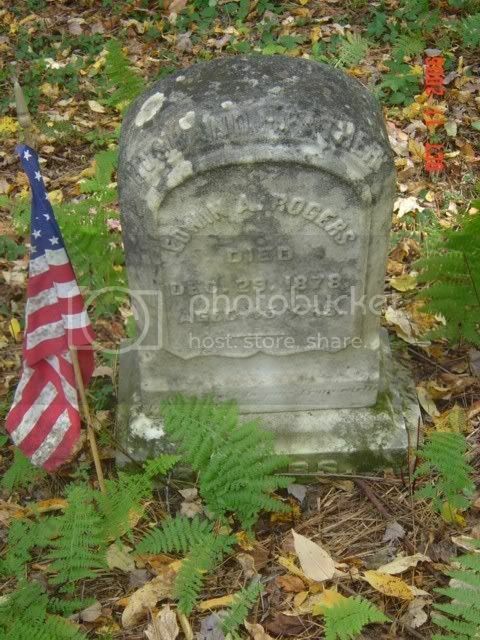 & Mathilda W. Rogers died in Marshall, Iowa July 13, 1880 aged 32 years 'Rest, Love One, Rest"
worthy of double honour. 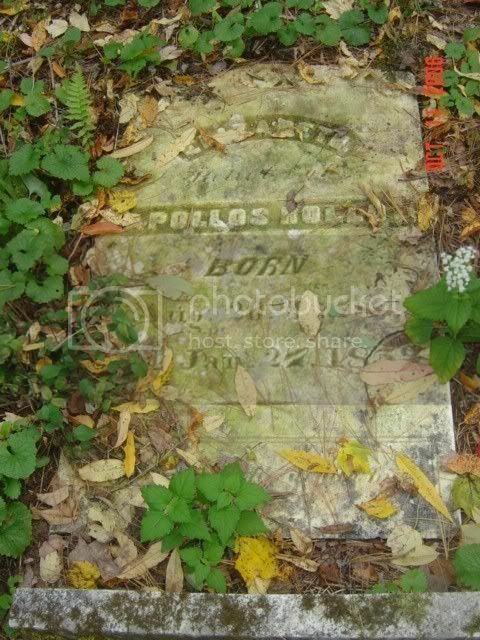 1 Timothy 5:17"
#112 - "Apollos C(Carpenter) Rollo, son of John A. 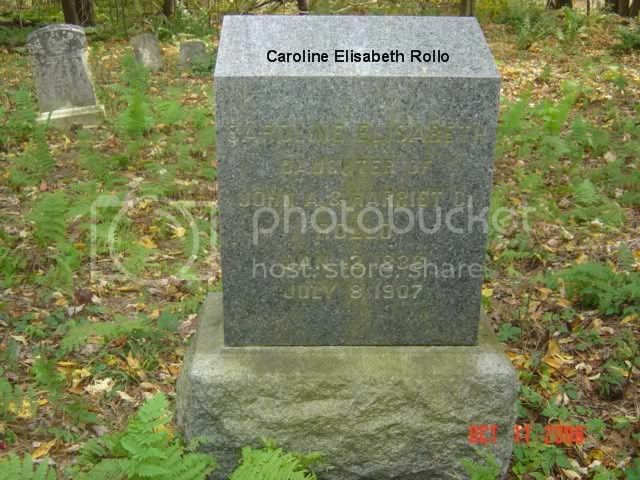 & Harriet C. Rollo, died June 12, 1850 aged 13 years. 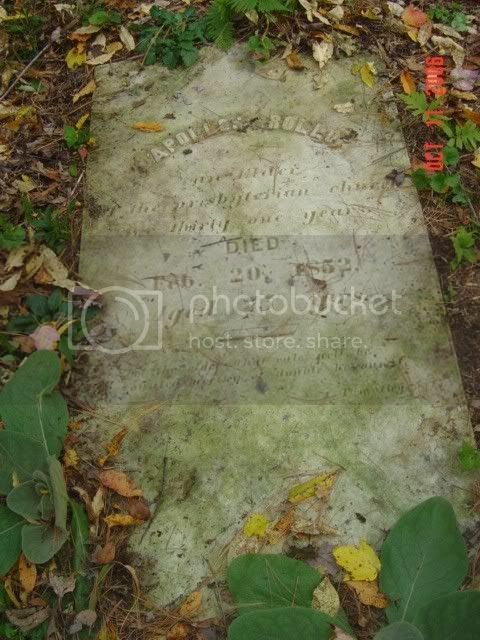 As they bear away the praying boy"
"Caroline Elisabeth daughter of John A. 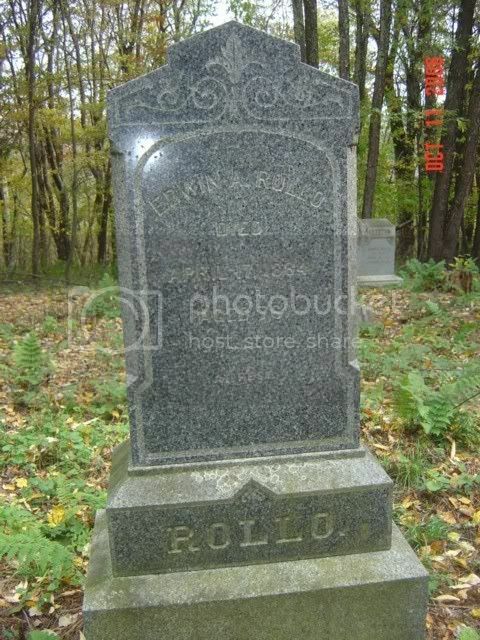 & Harriet C. Rollo Jan. 13, 1836 - July 8, 1907"
#107 - "Edwin A. Rollo Died April 17, 1884 Aged 76 years At Rest"
#111 - "In Memory of Eliza Ann Rollo daughter of Apollos & Elizabeth Rollo who departed this life July 27th, 1807 aged 1 year & 7 months"
Blessed are the dead which die in the Lord"
#116 - "Luther M. Rollo son of John A. and Harriet C. Rollo February 22, 1844 - May 3, 1927"
#113 - "Ralph R. son of John A. 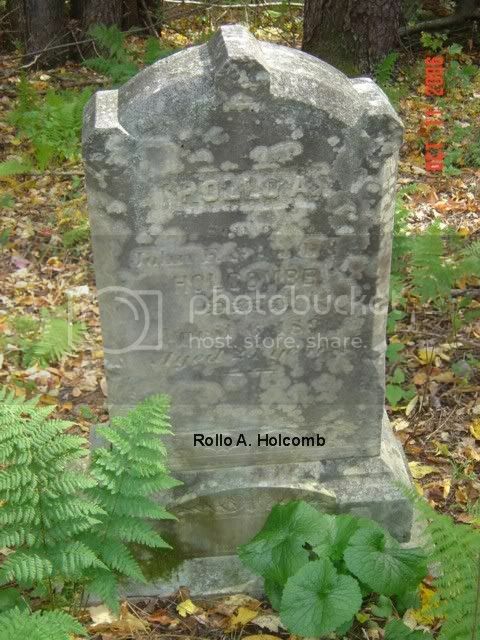 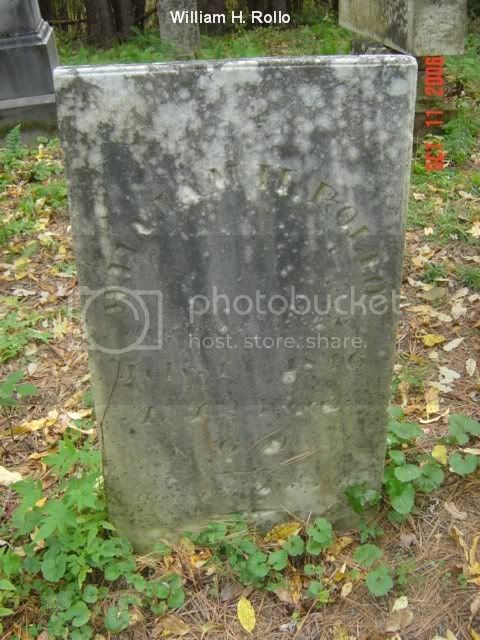 & Harriet C. Rollo, Died Jan. 25, 1857 Aged 14 years"
#110 - "William H(Hall) Rollo departed this life July 11, 1846 Ae. 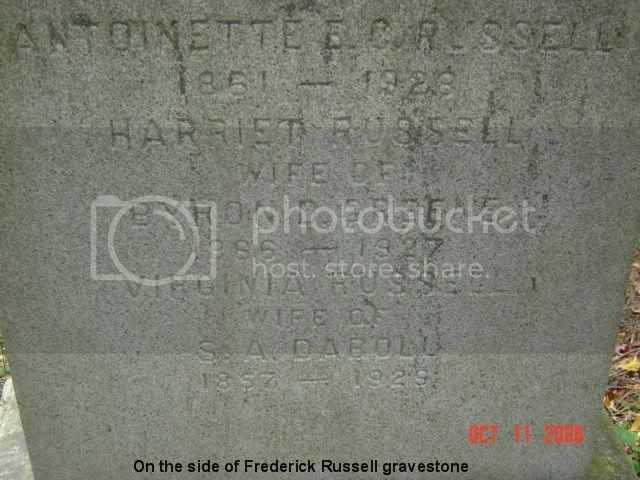 42 years & 6 months - He's gone to his rest"
#19 - The above two pictures are from the Russell Family gravestone. 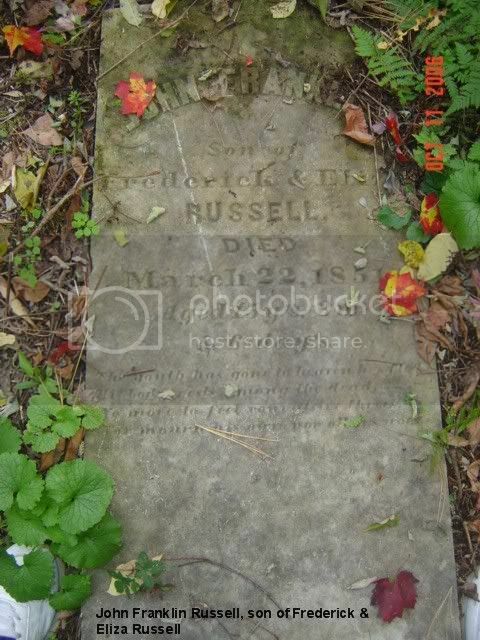 Nor mourn his own nor others woes"
#13 - "In Memory of Mary Russell wife of William departed September 23, 1816 in the 70th year of her age"
#17 - "Memory of William Russell who departed September 28th, 1812 in the 82nd year of his age"
#33 - "In Memory of Almeron son of Benjamin & Phebe Sackett, who departed this life February 4, 1801 in the 12th year of his age"
#9 - "Amherst Douglas Sackett son of Calvin P. and Hannah (Douglas)Sackett who died suddenly September 29, 1825 aged 17 years"
Mrs. Phebe Sackett wife of Benjamin Sackett who departed this life October 12th, 1826 in the 72nd year of her age"
And the weary are at rest"
#90 - "Charlotte Goold Saunders wife of C. G. Saunders Born June 5, 1834 - DiedFeb. 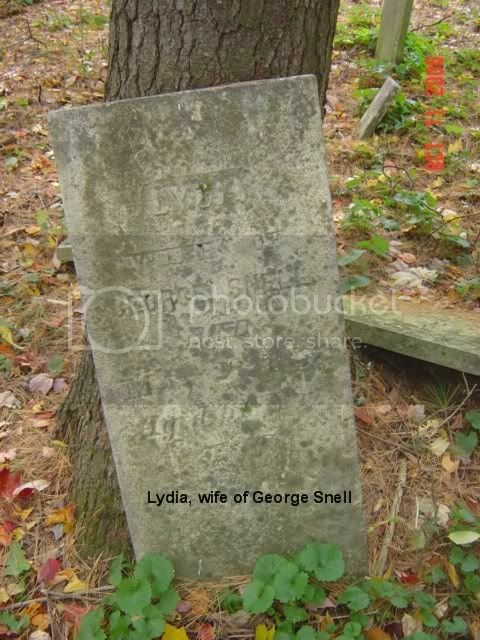 5, 1880"
#97 - "George Snell a native of Belfast, Ireland died January 30, 1861 aged 81 years"
#99 - "Lydia wife of George Snell died May 28, 1852 aged 61 years"
# 91 - "Fanny Goold wife of E. A. Strait Born Feb. 13, 1847 Died June 8, 1883"
#83 - "In Memory of Mrs. Catherine Wass who departed this life December 13, 1815 aged 71 years. 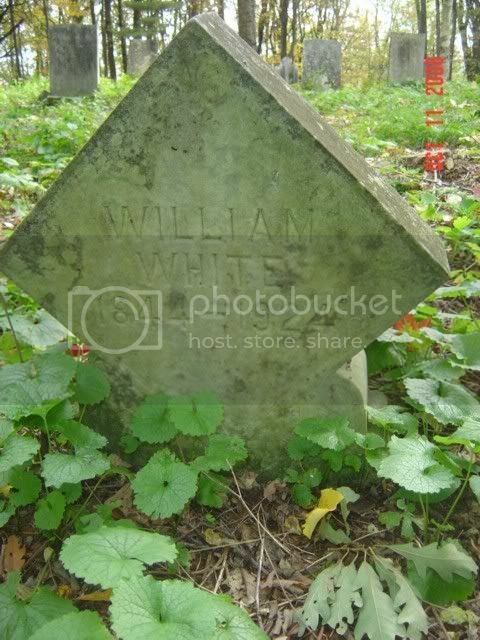 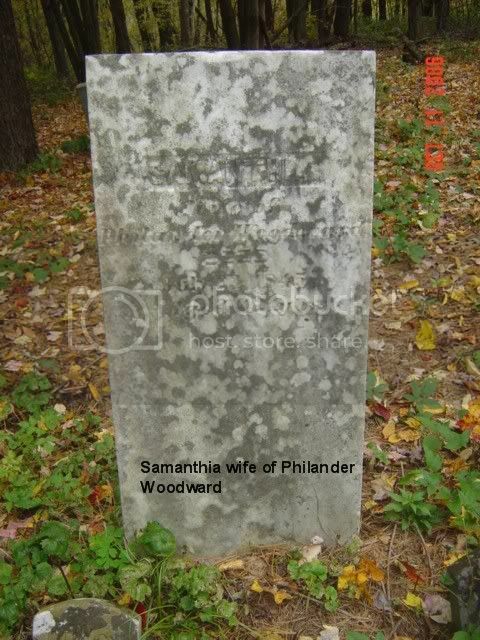 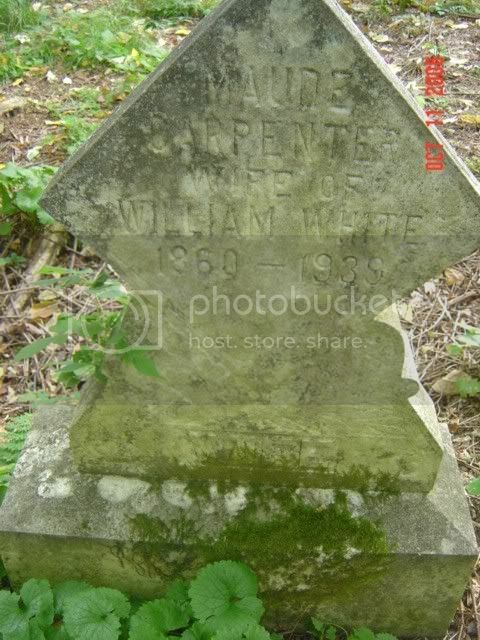 Blessed are the dead who died in the Lord"
#7 - "Maude Carpenter wife of William White 1860-1939"
#8 - "William White 1844 - 1924"
#104 - "Samanthia wife of Philander Woodward, died July 23, 1845 aged 42 years"